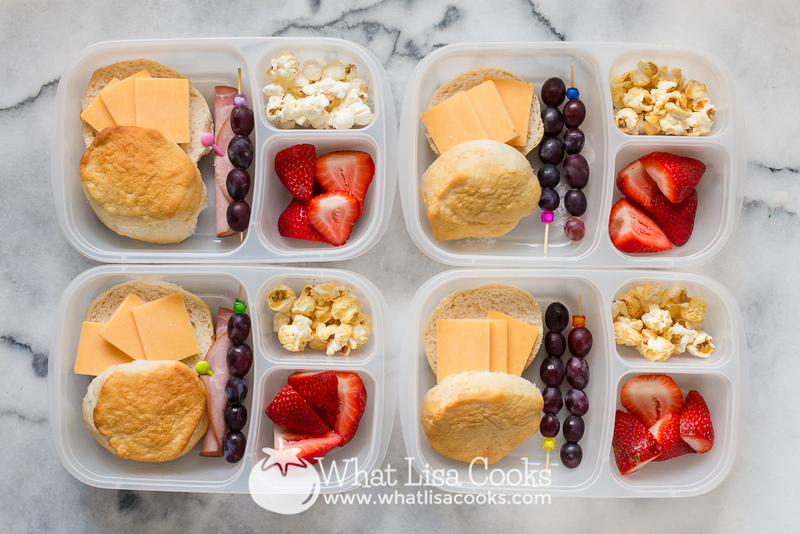 Lunches I pack for my four kids for school every day. 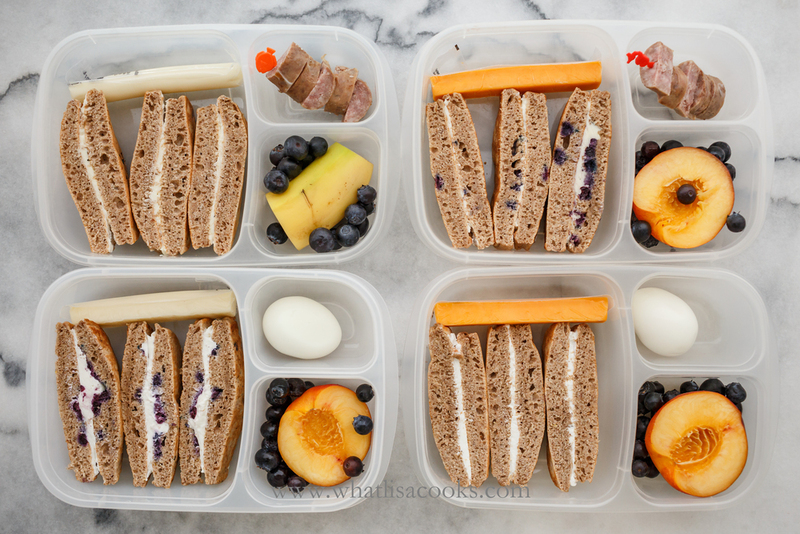 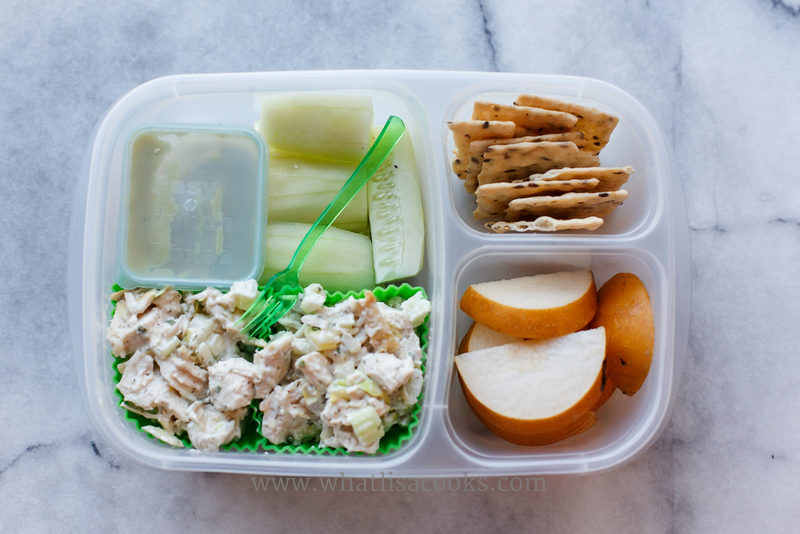 Are you looking for lunch packing ideas? 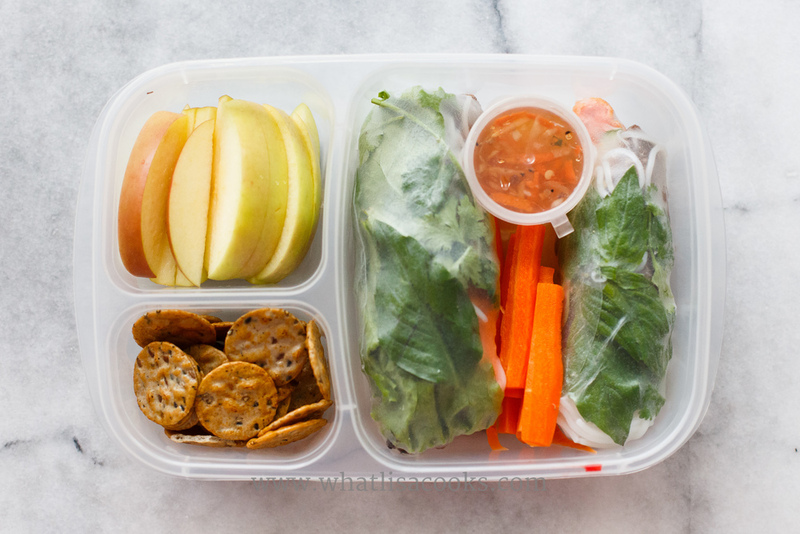 Are you dreading having to figure out what to pack for lunch every day? 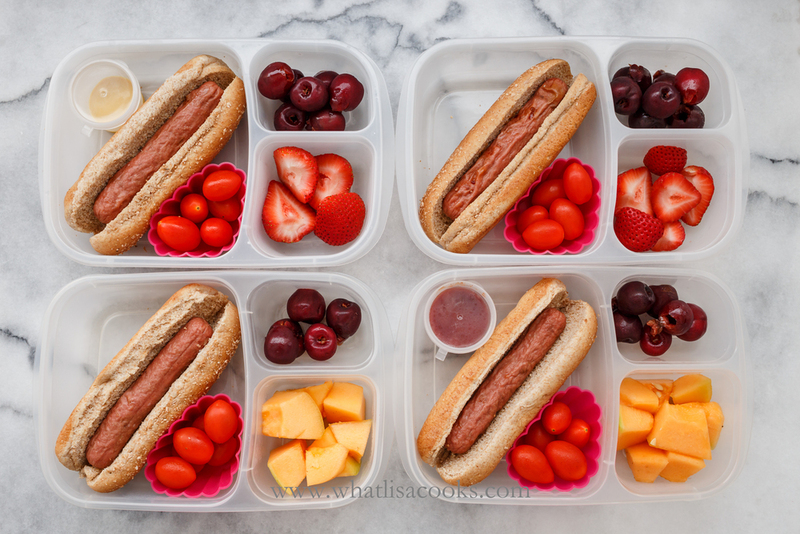 I know how you feel! 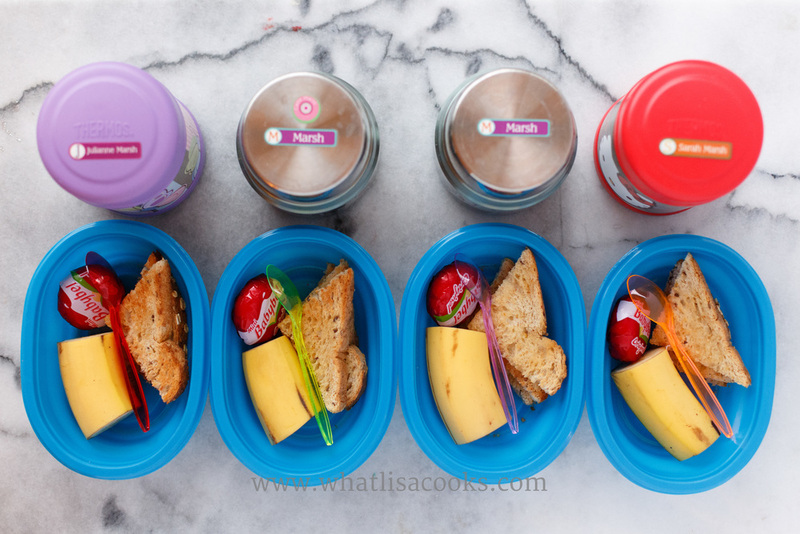 I'm a busy mom to four school age kids - two sets of twins! 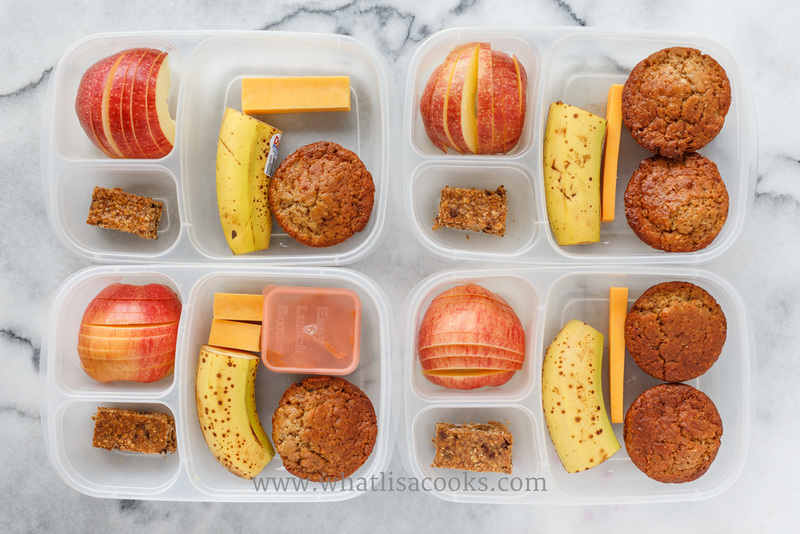 I am packing lunches for my kids almost every day of the school year, and I try to never pack the exact same lunch twice. 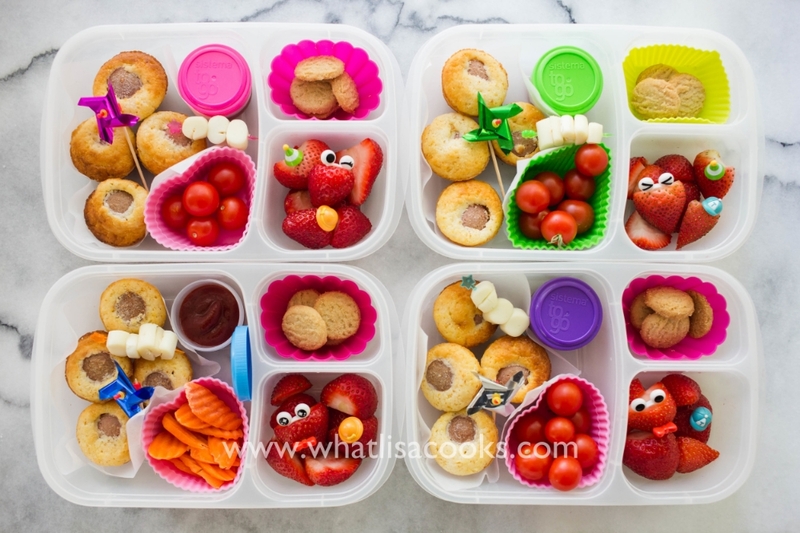 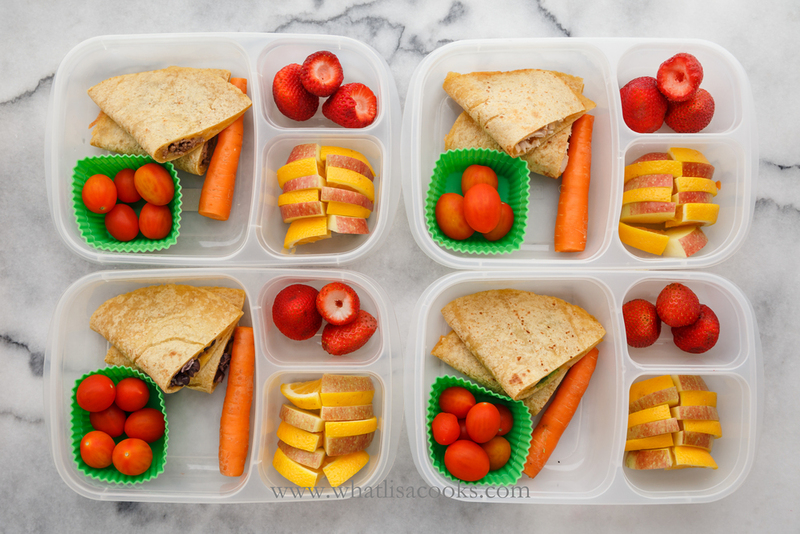 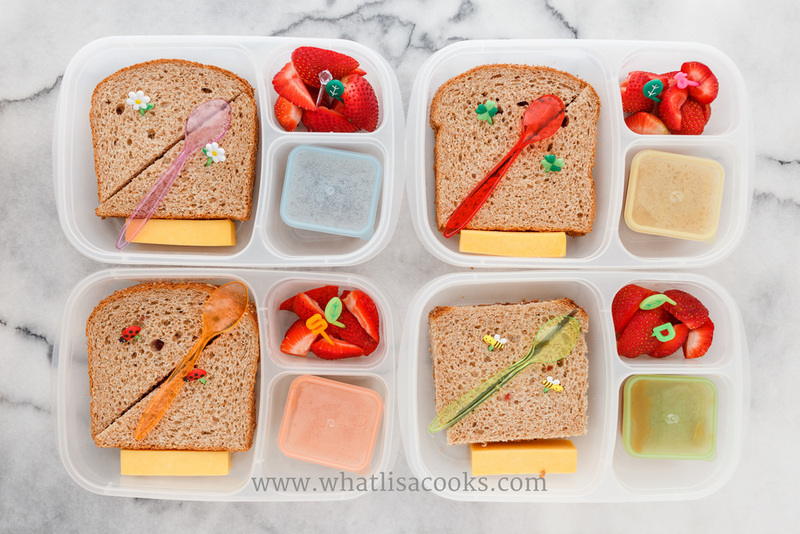 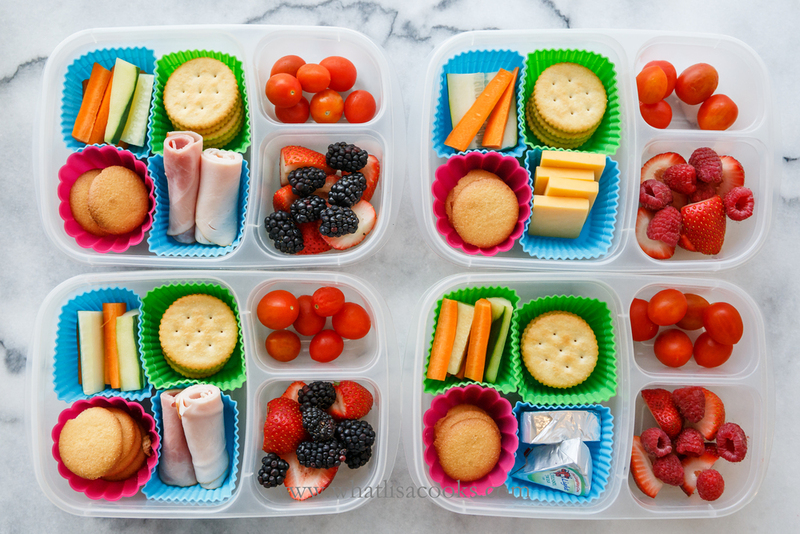 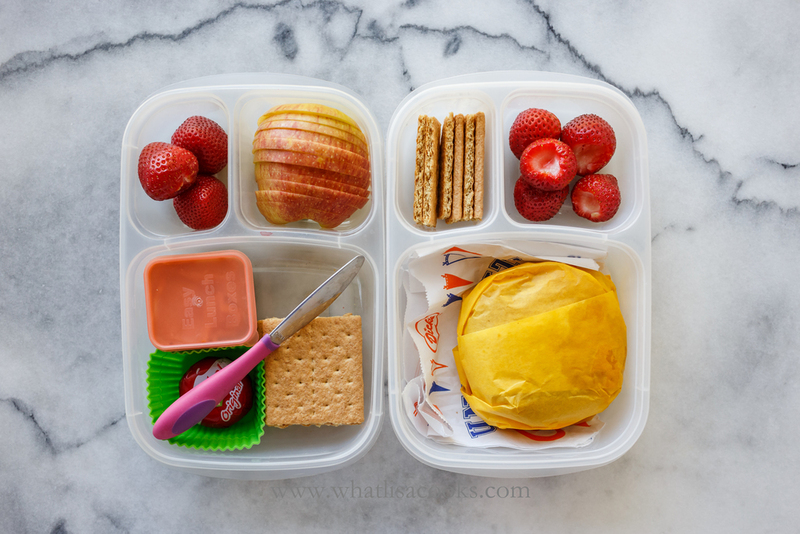 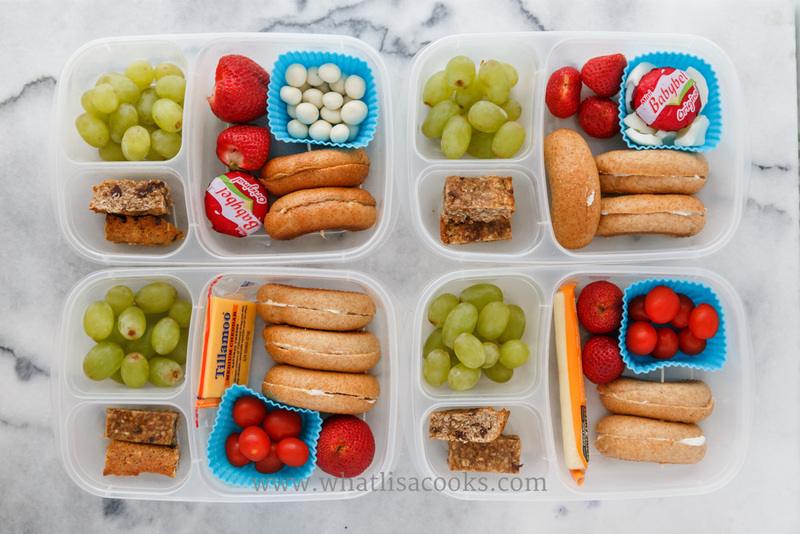 I have been doing it for a lot of years now, so I have lots of school lunches to share with you. 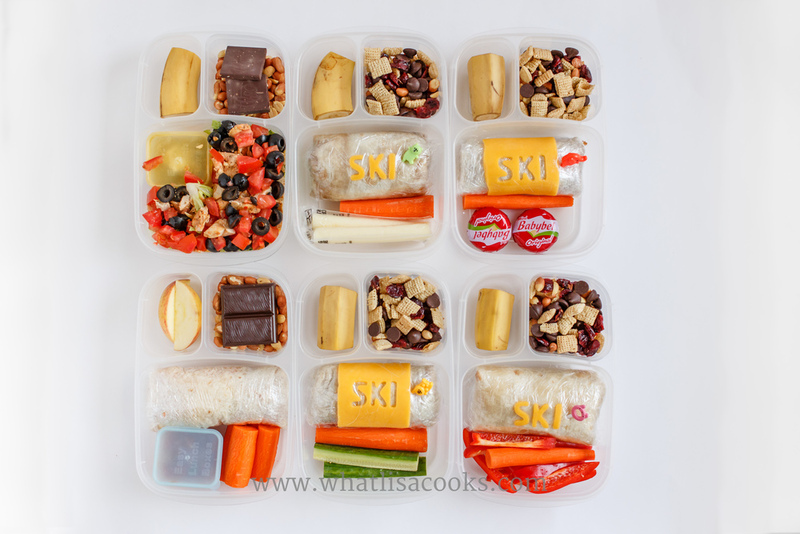 This page is the place - here you will find every lunch that I have packed and photographed, all in one page. 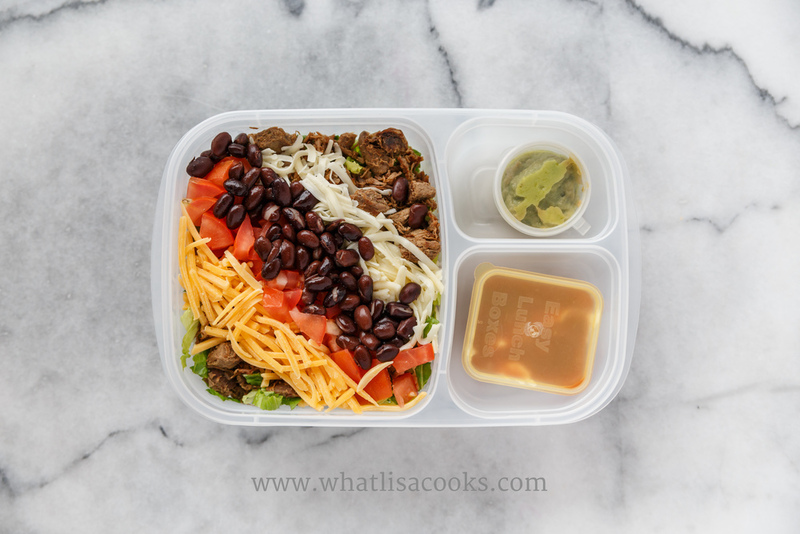 You will notice some similarities, some themes, and some favorite ingredients that get repeated often. 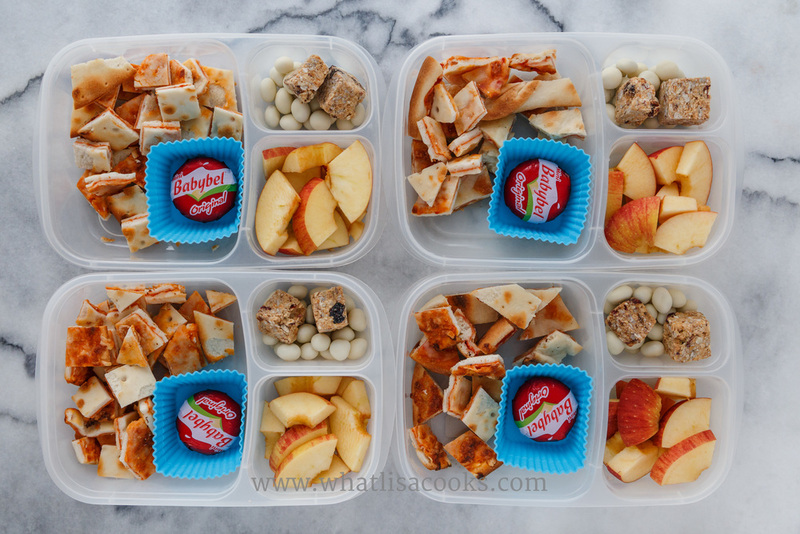 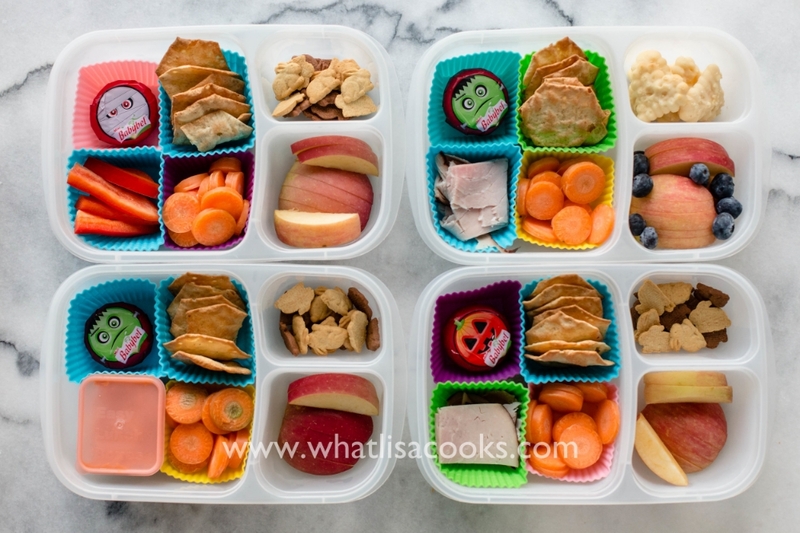 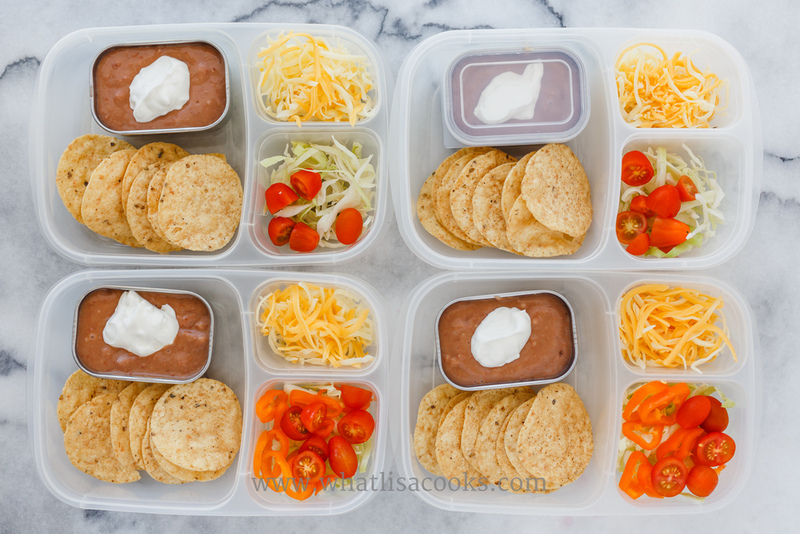 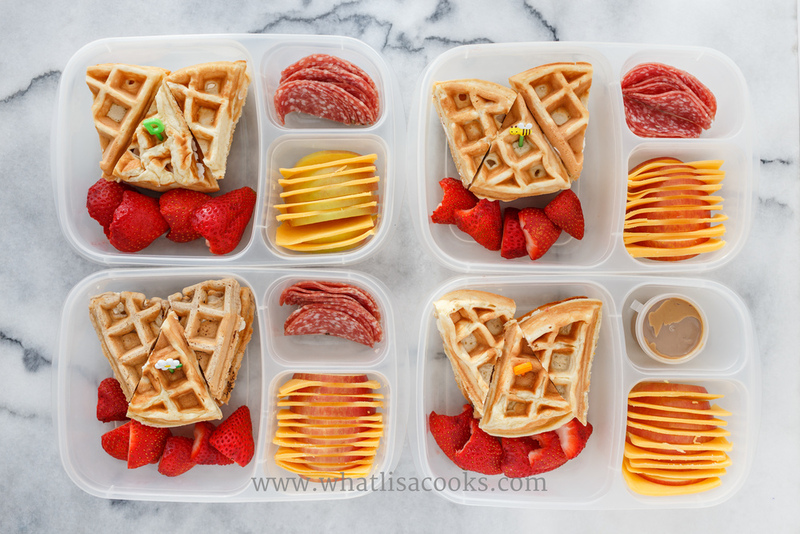 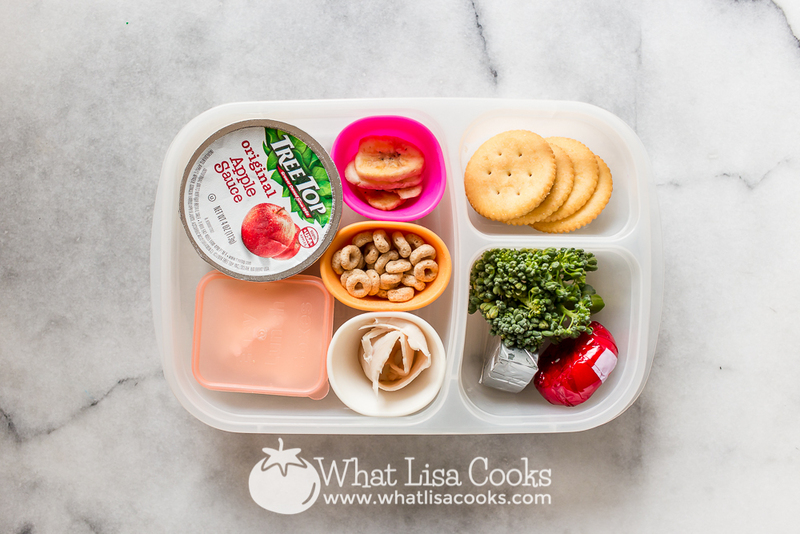 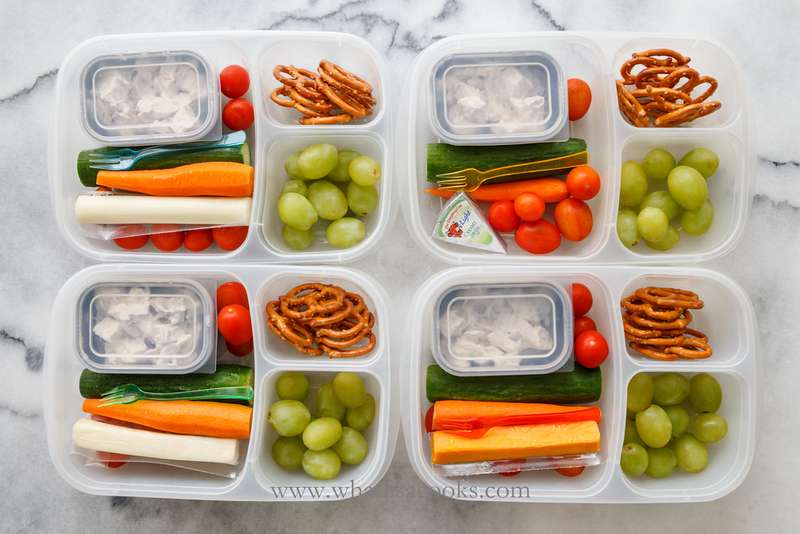 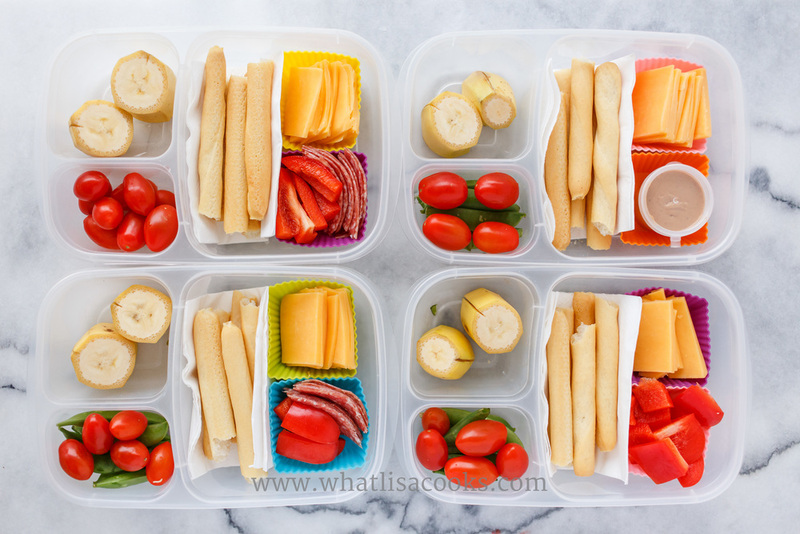 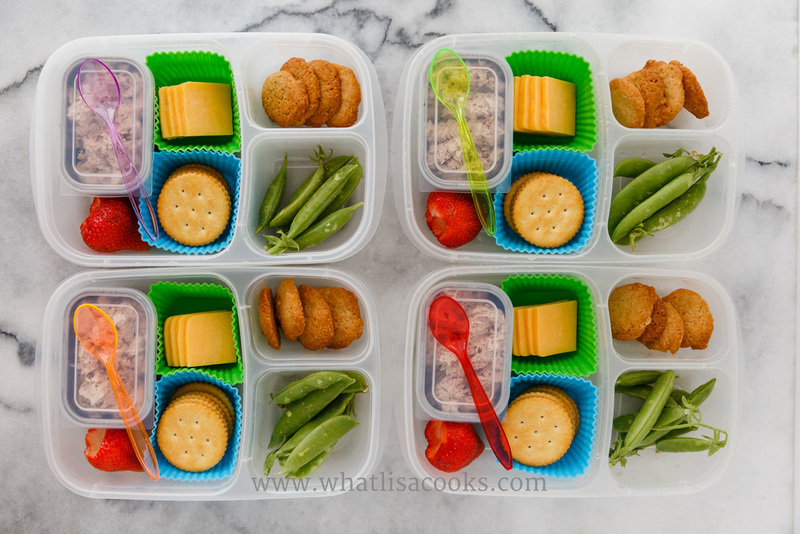 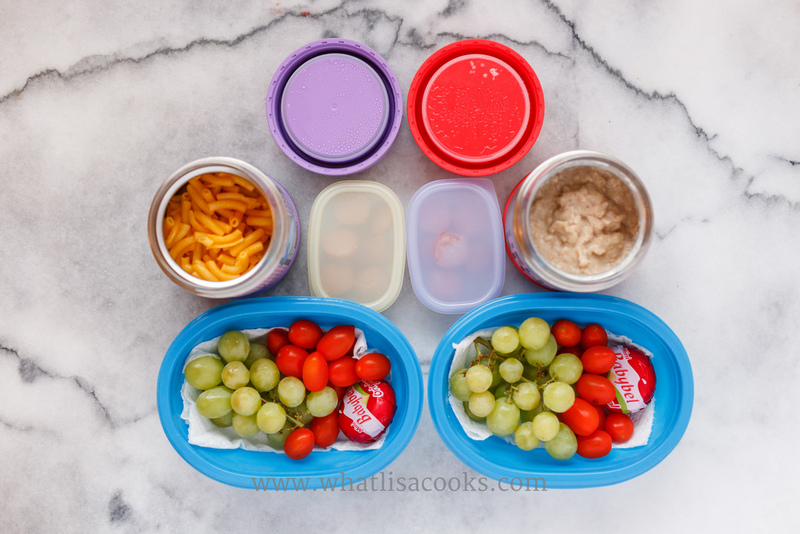 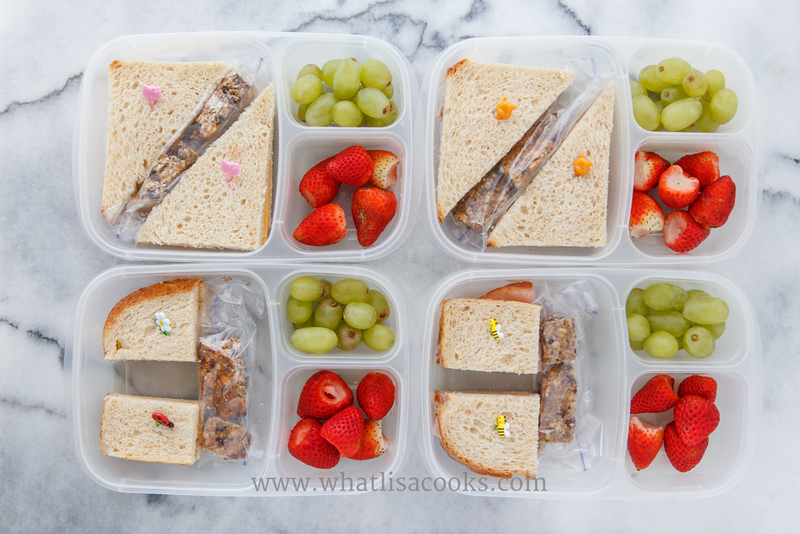 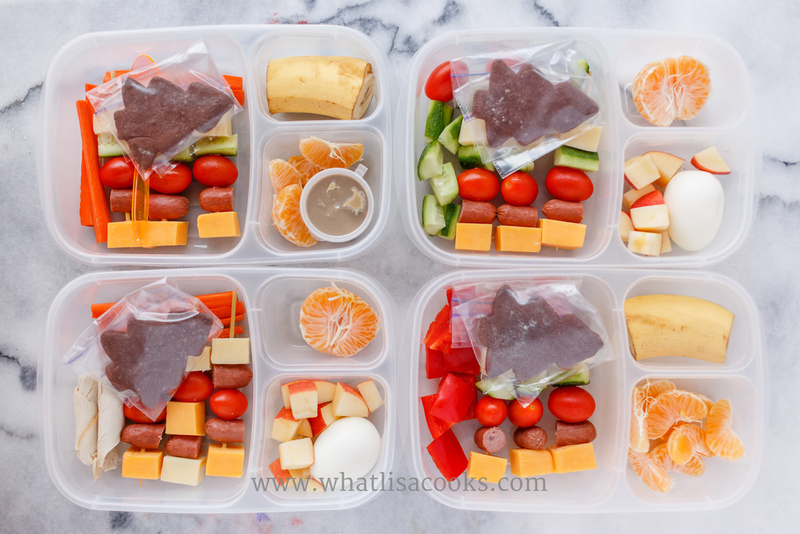 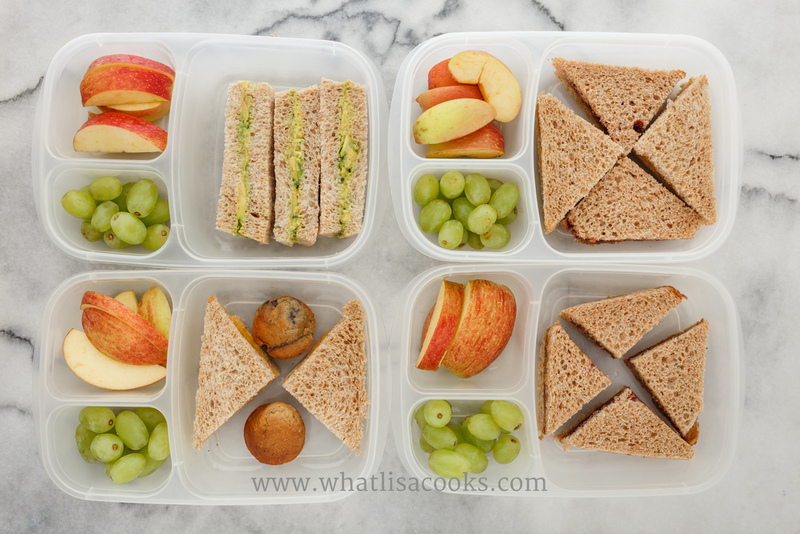 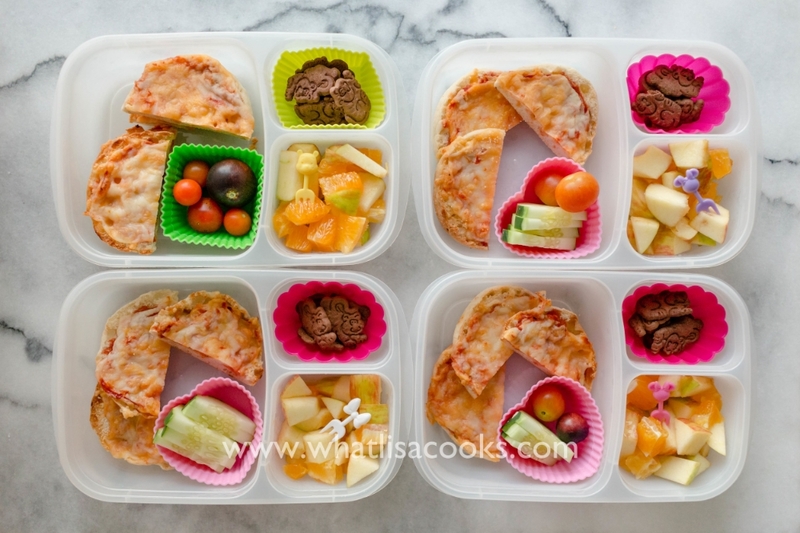 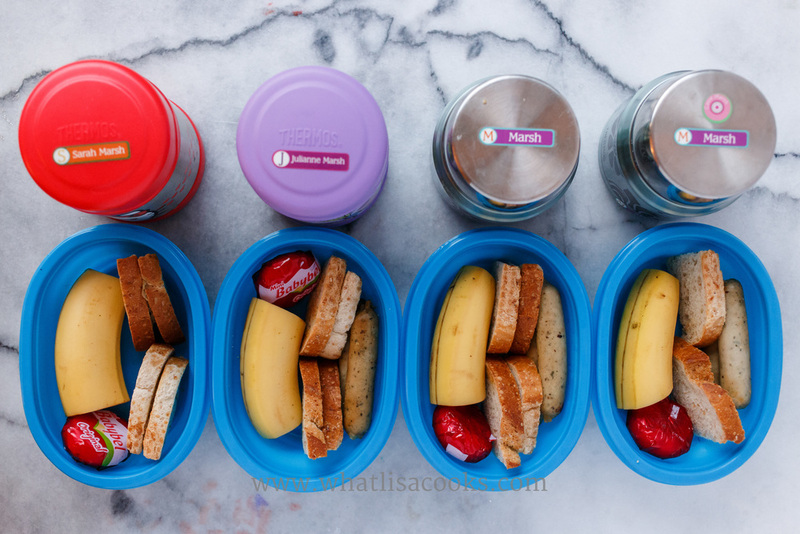 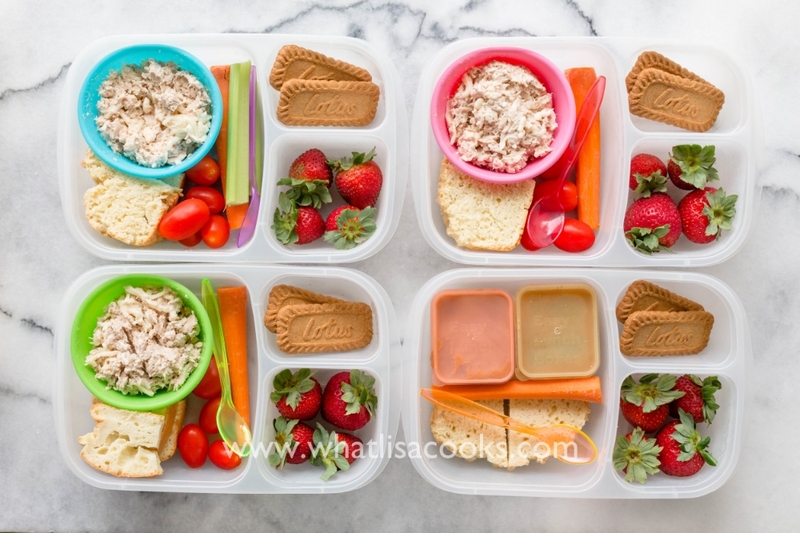 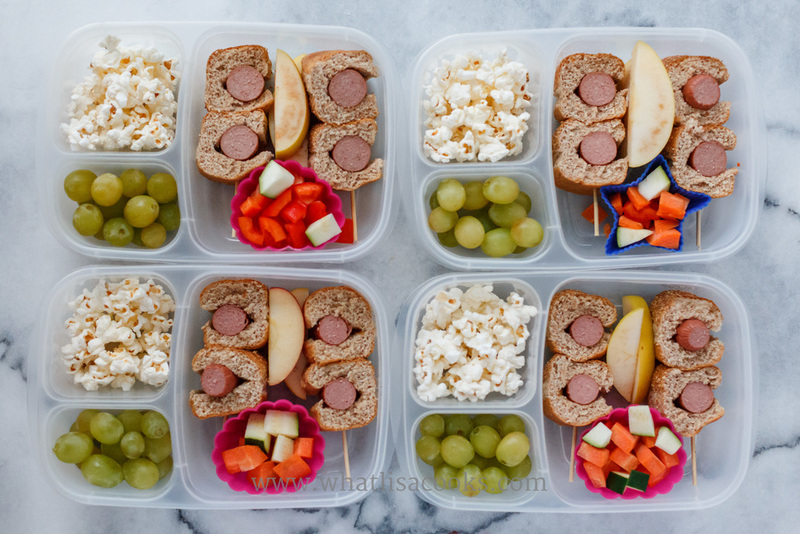 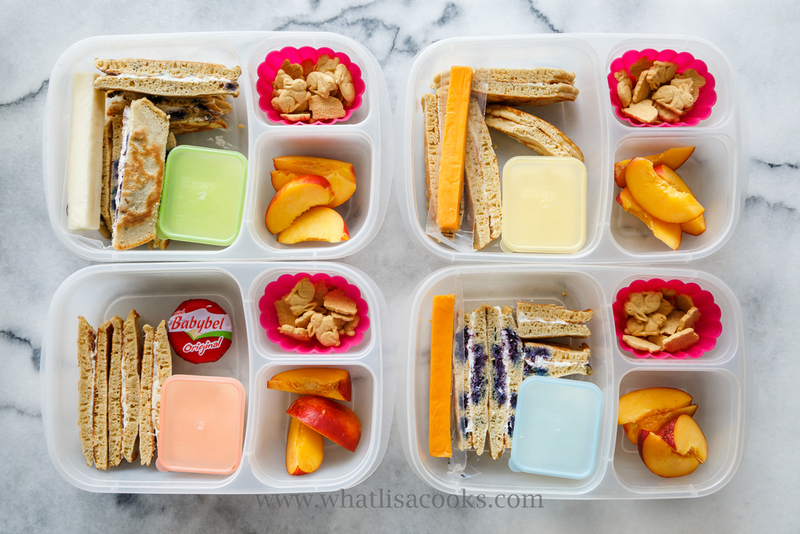 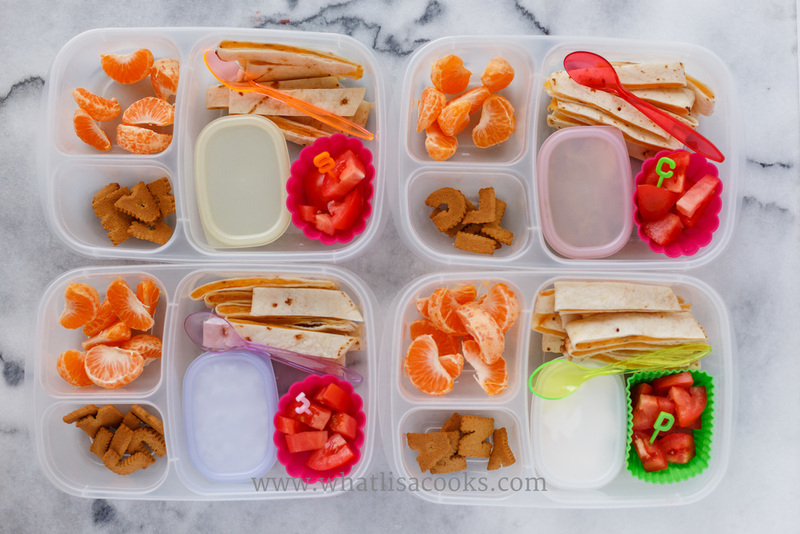 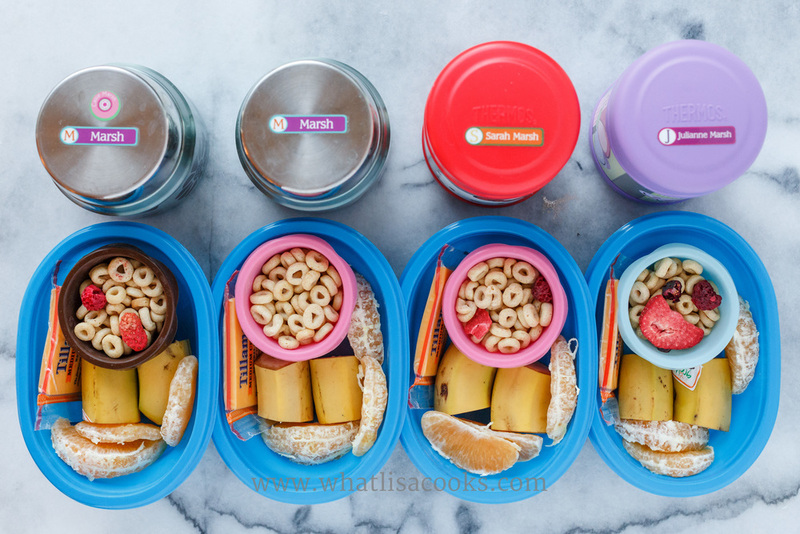 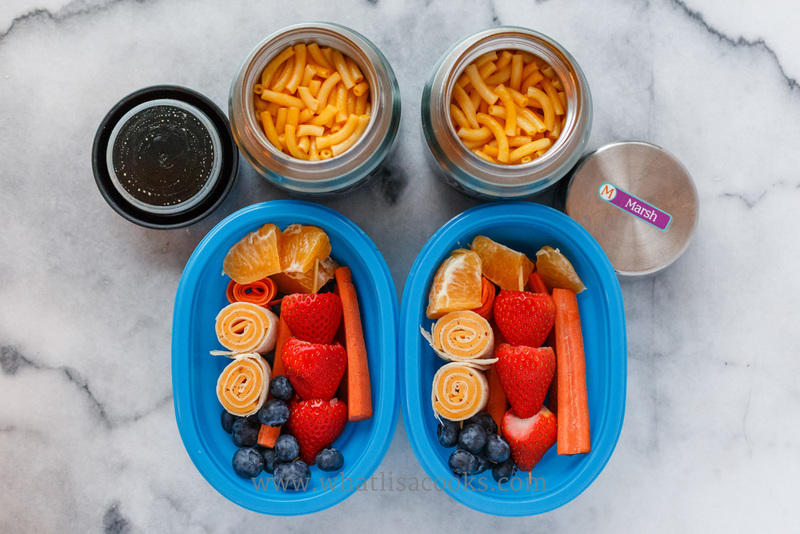 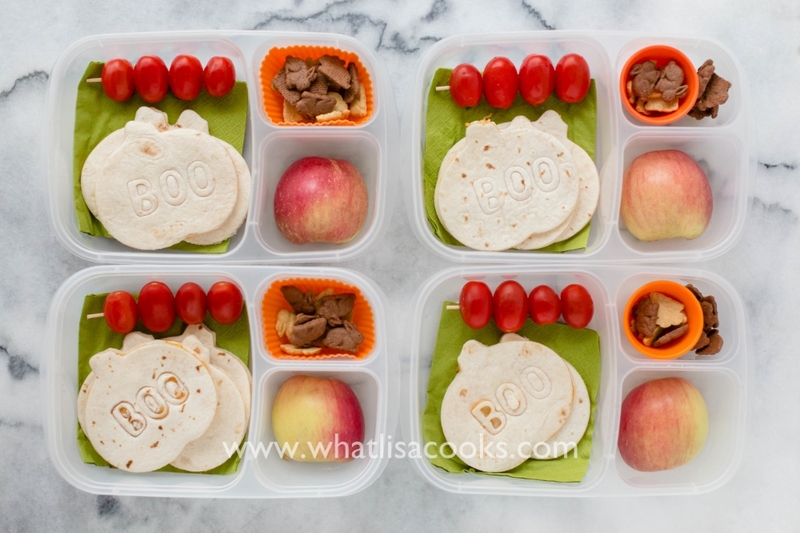 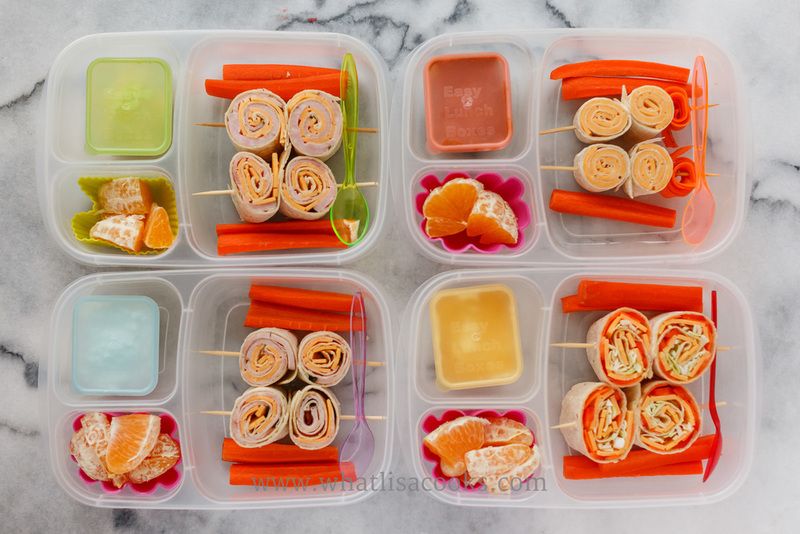 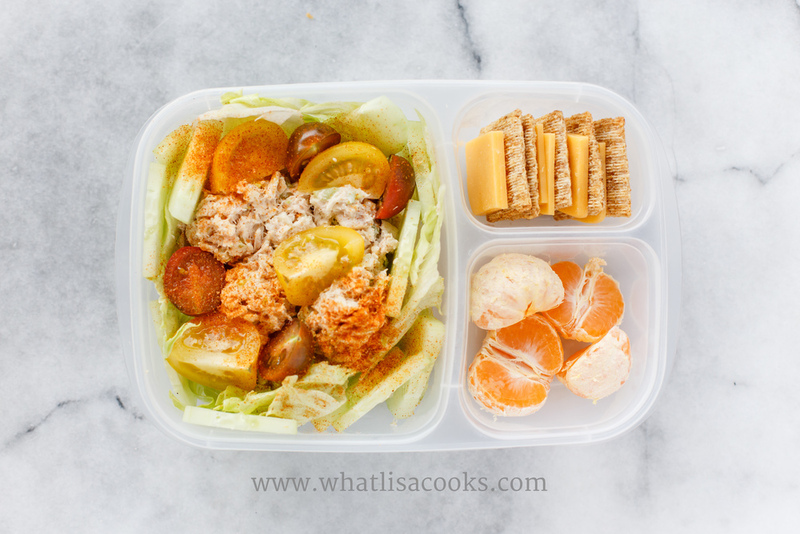 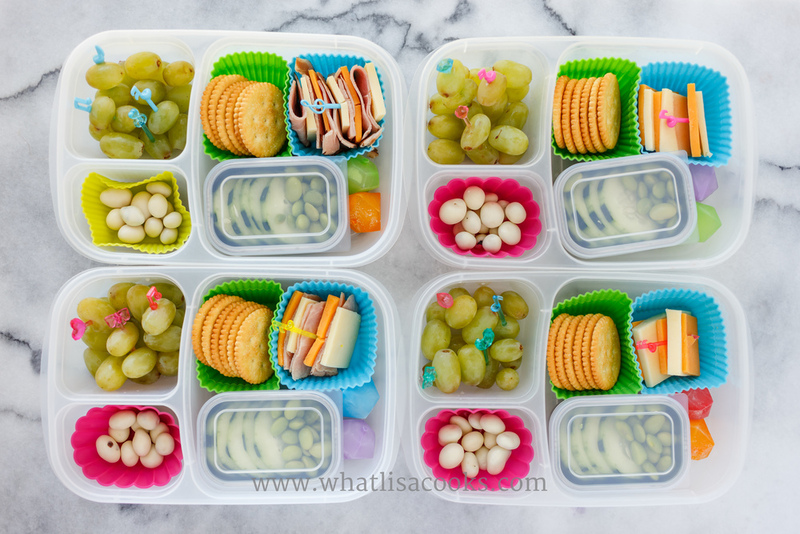 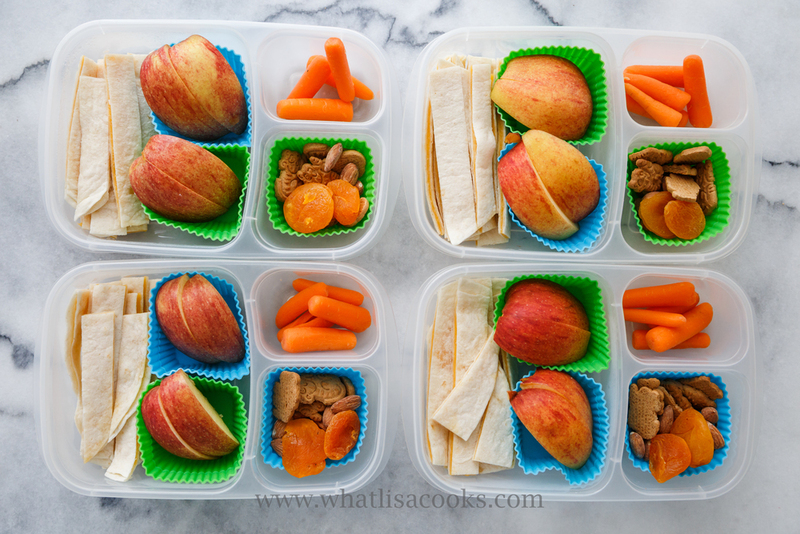 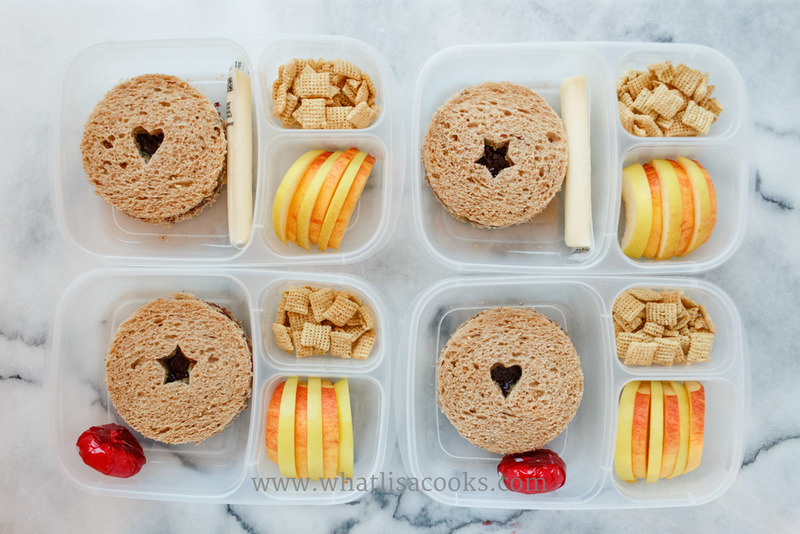 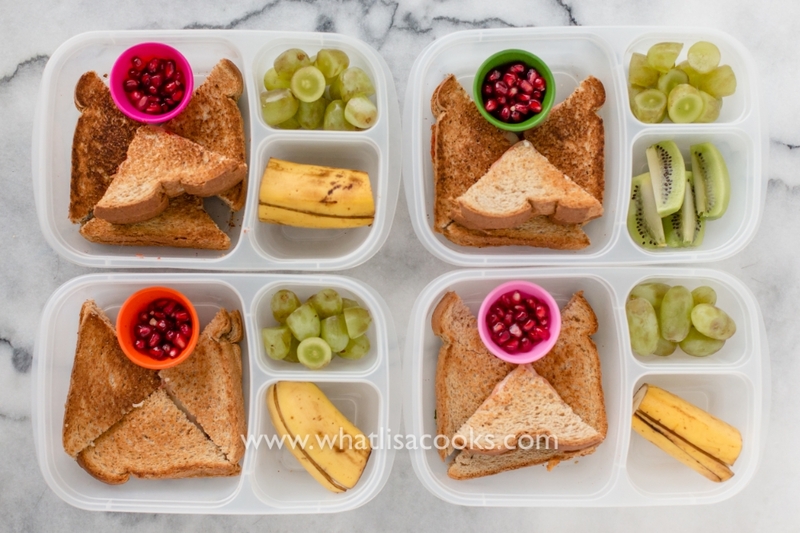 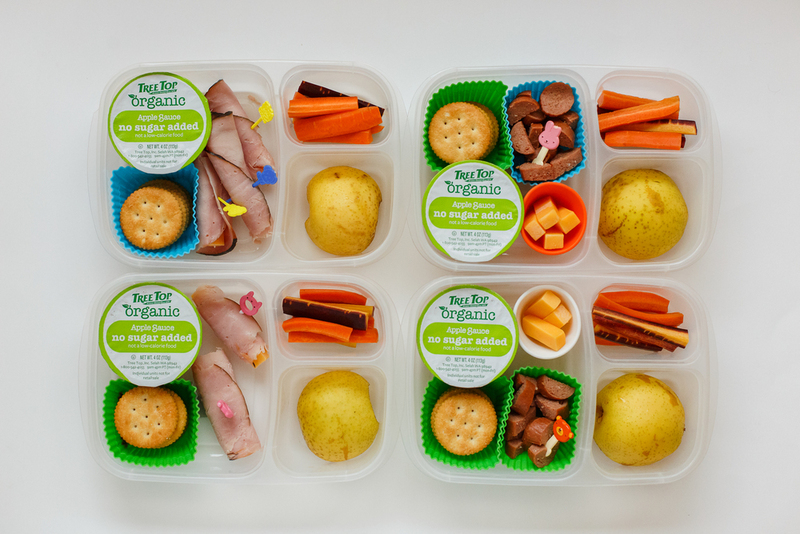 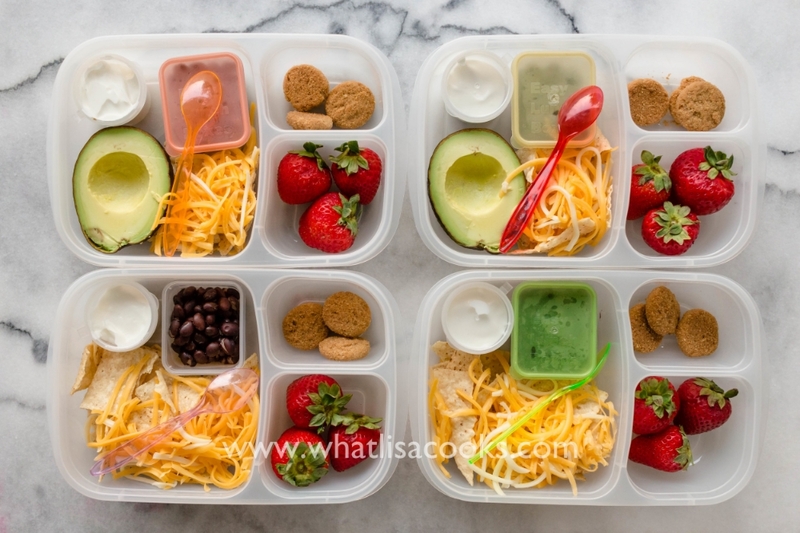 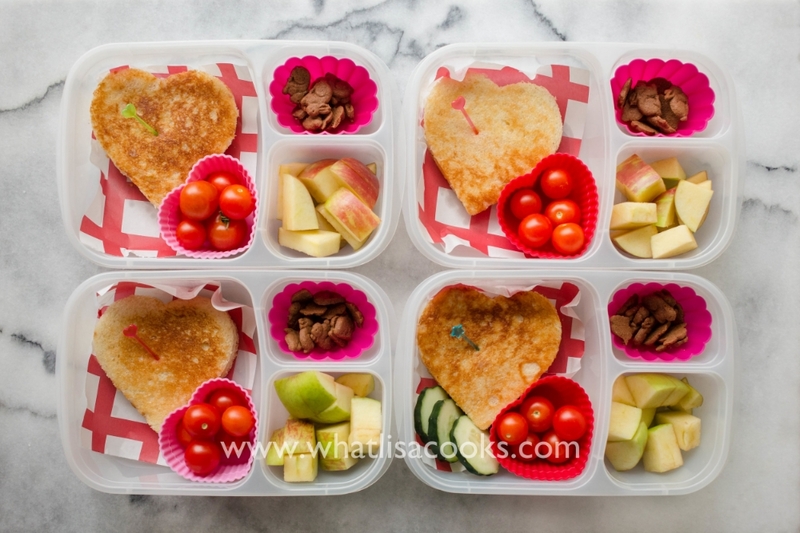 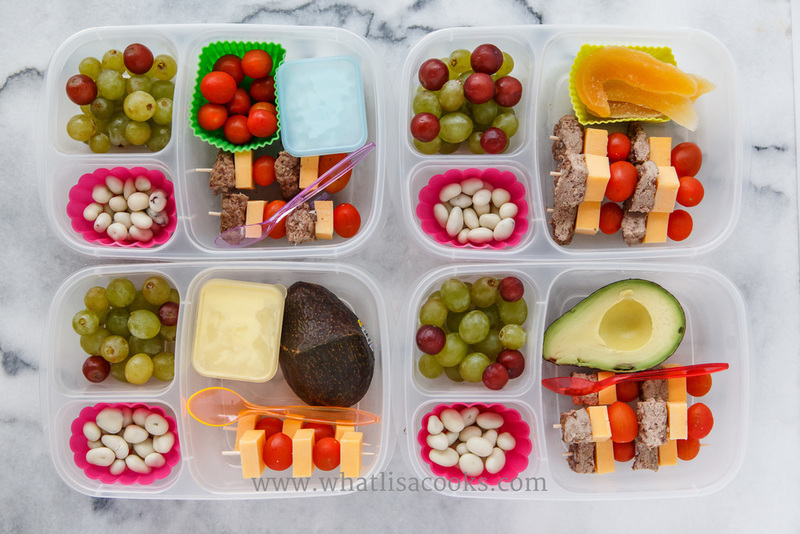 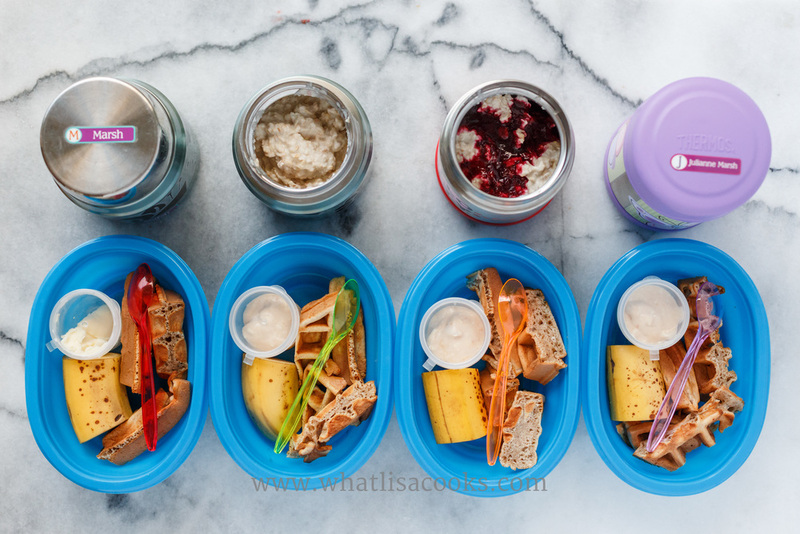 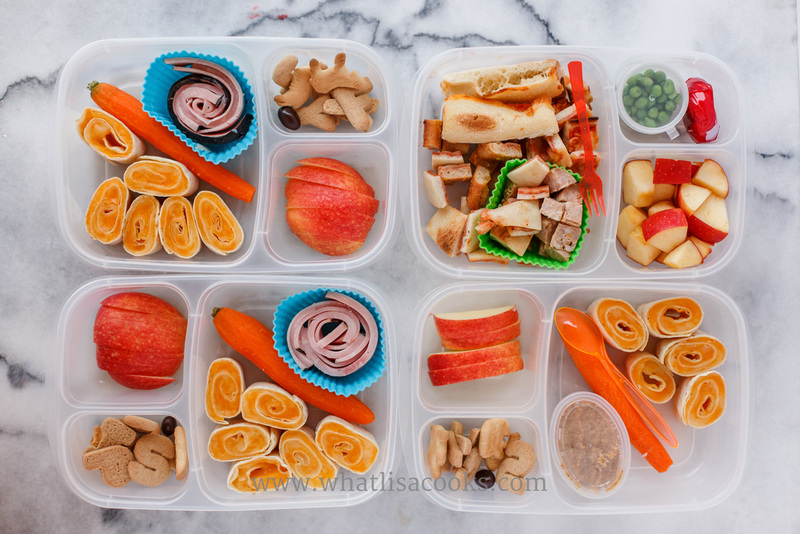 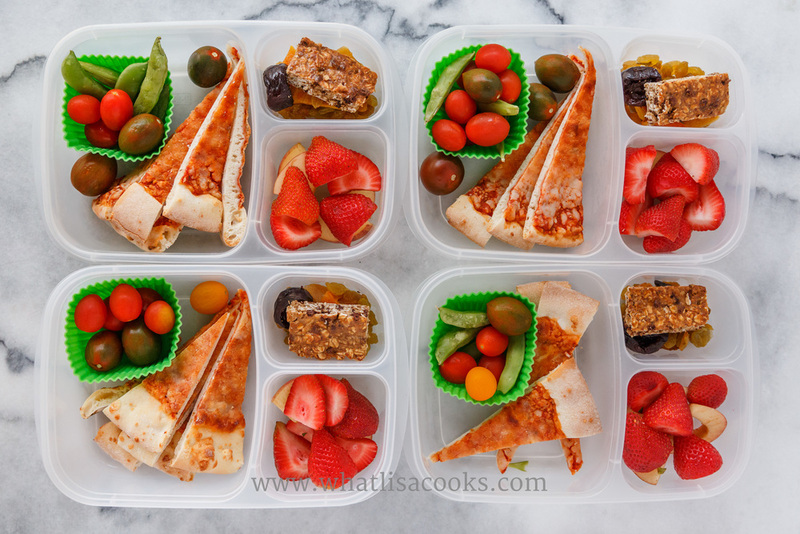 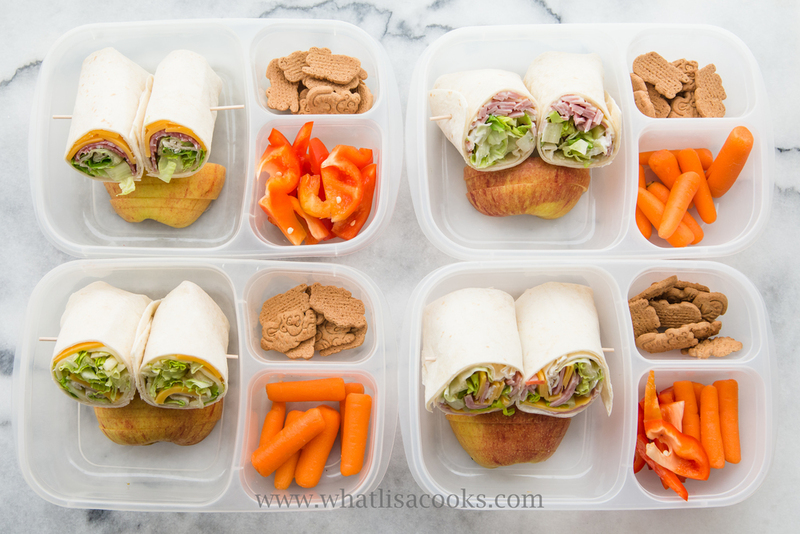 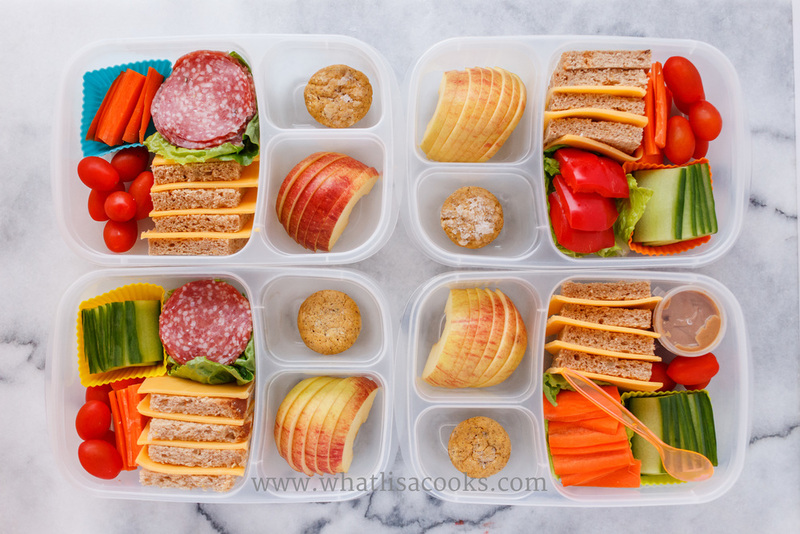 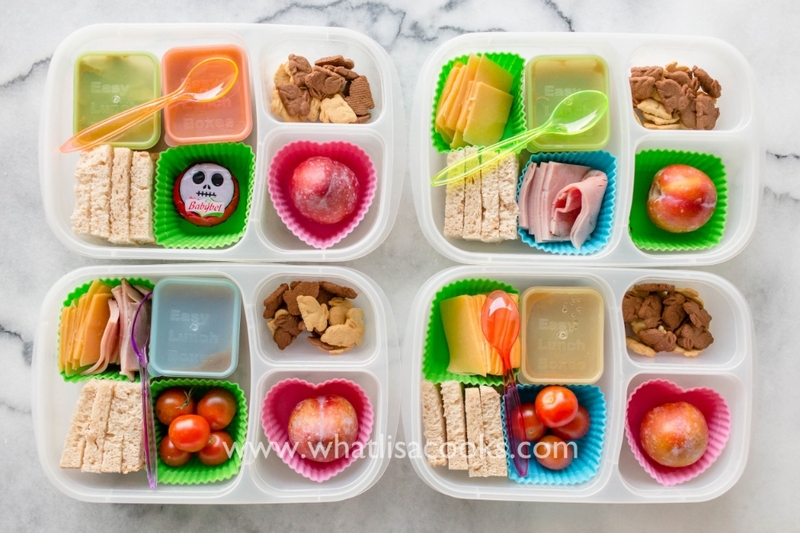 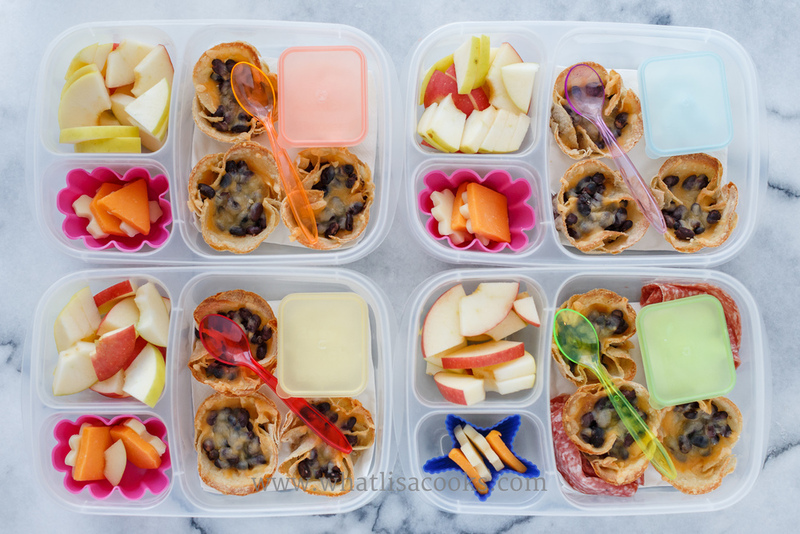 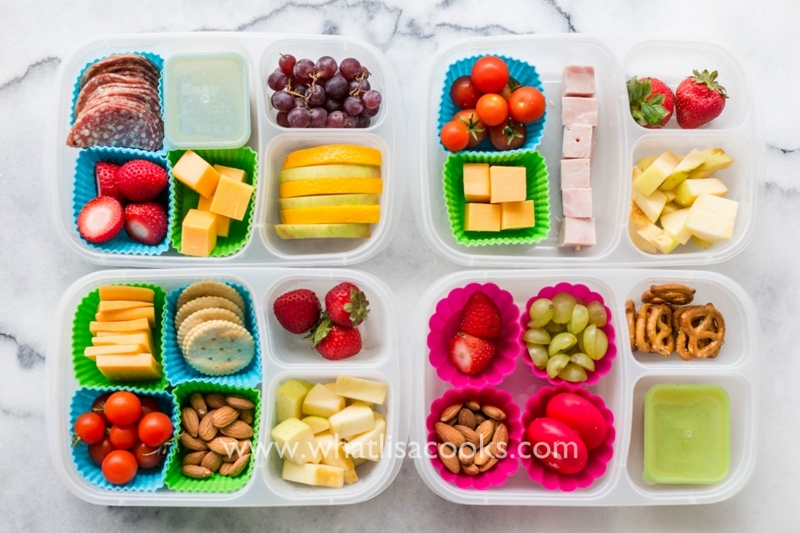 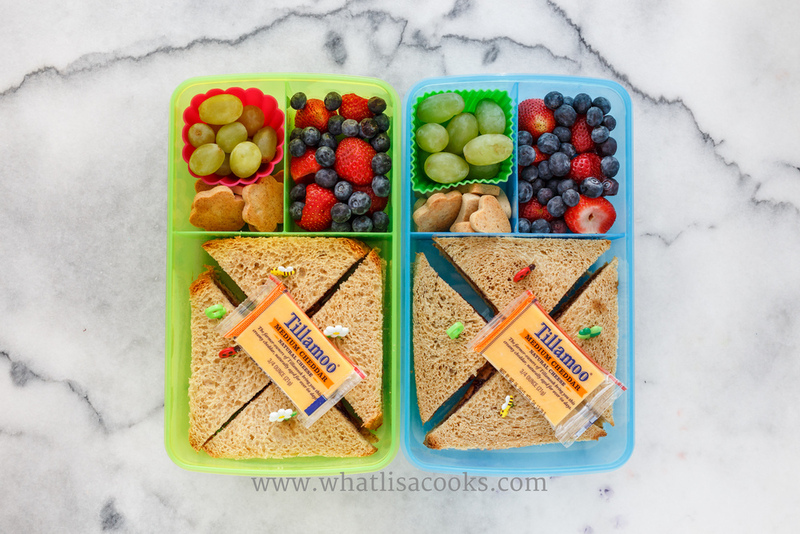 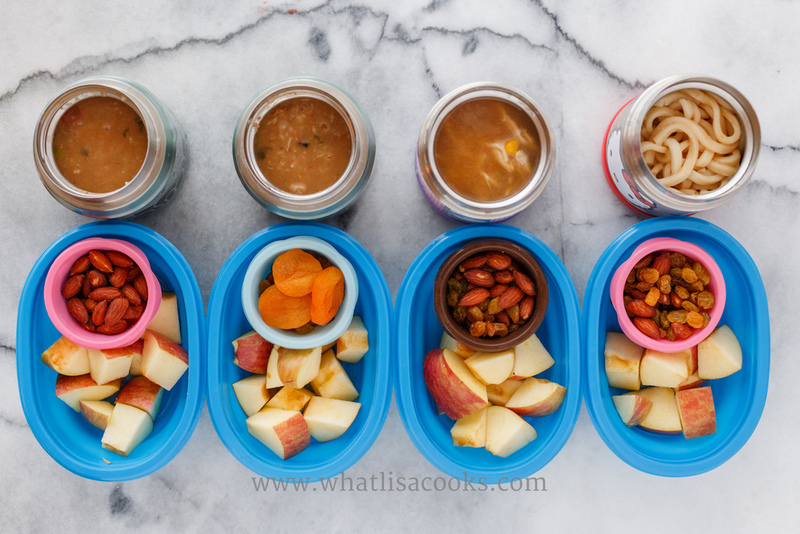 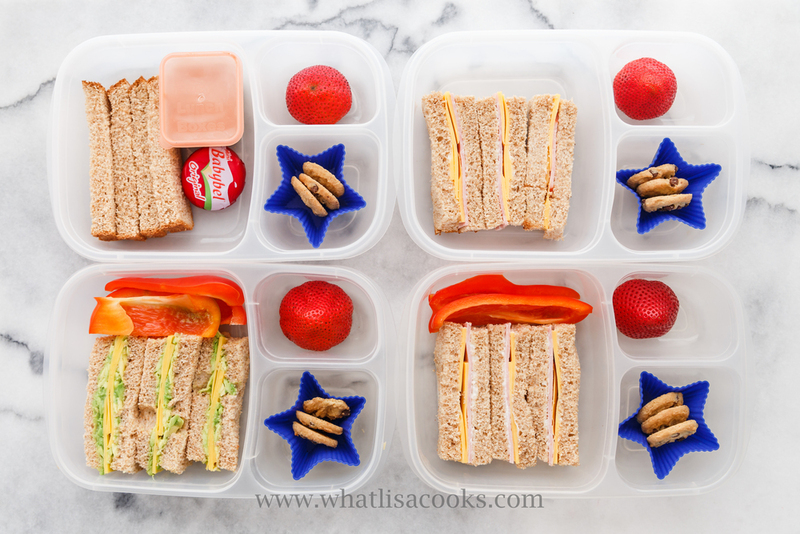 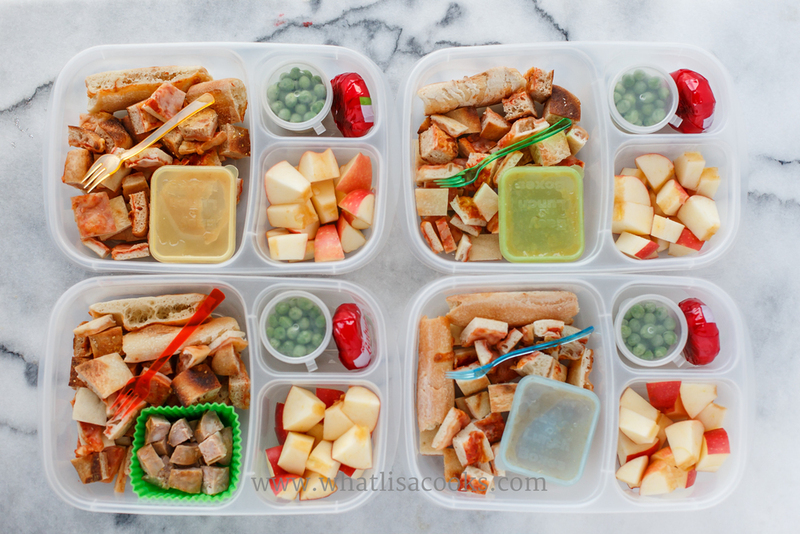 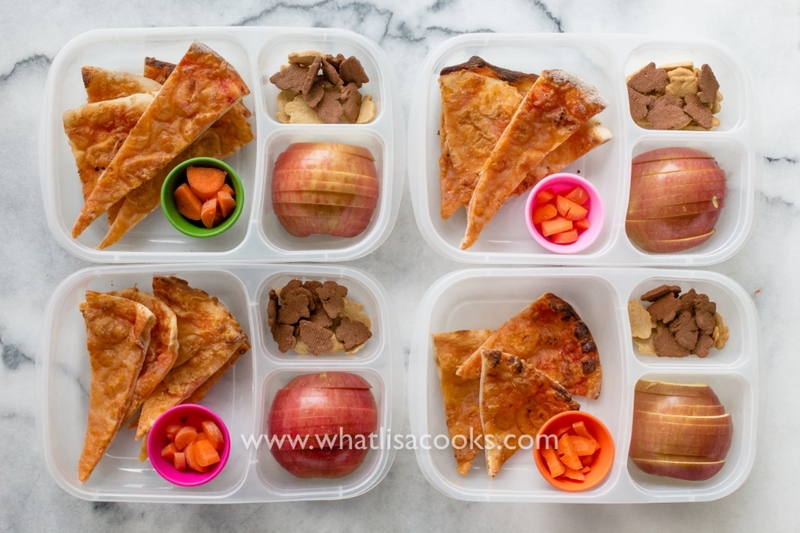 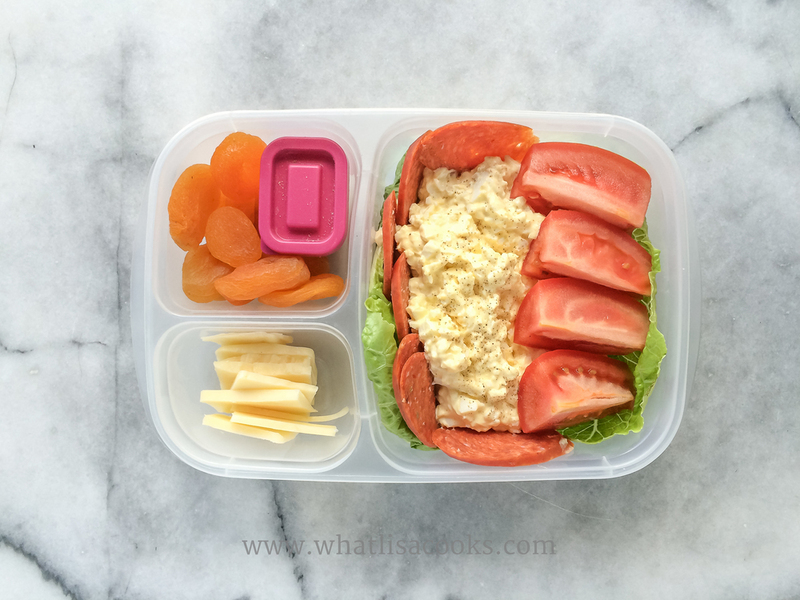 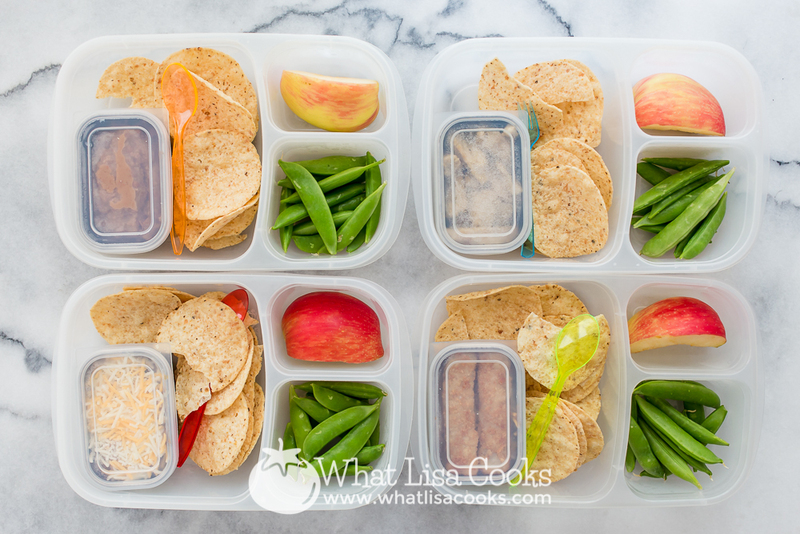 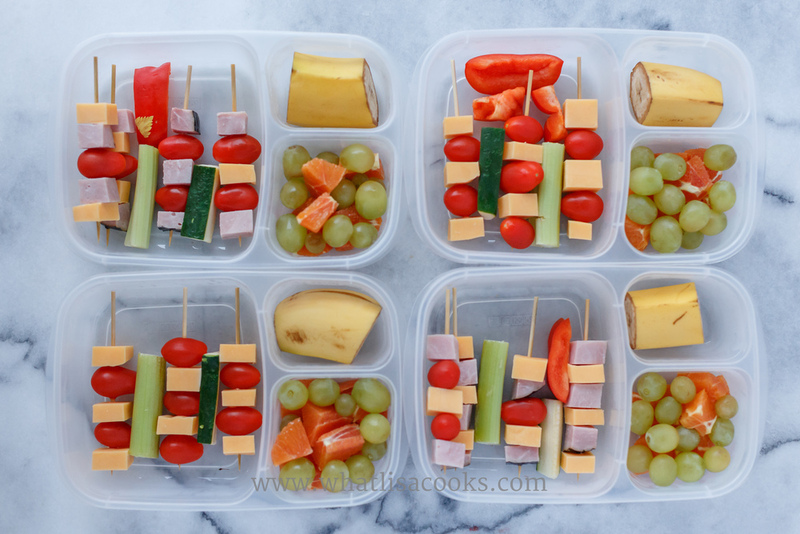 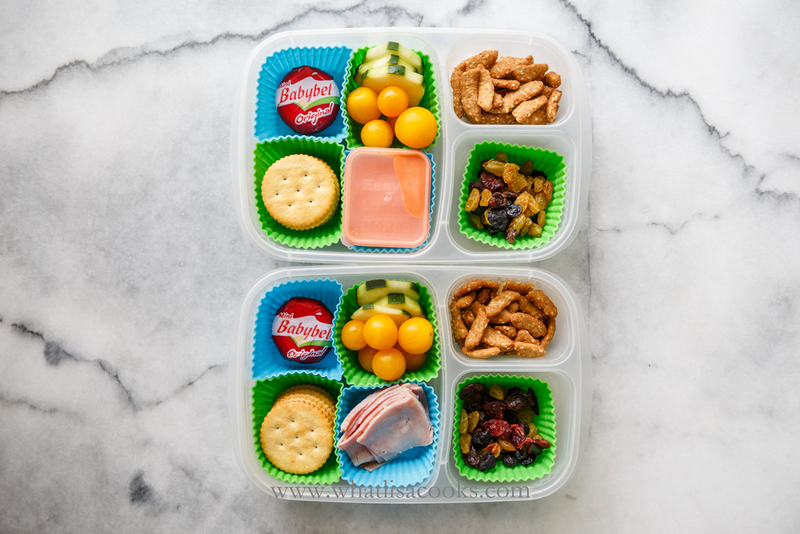 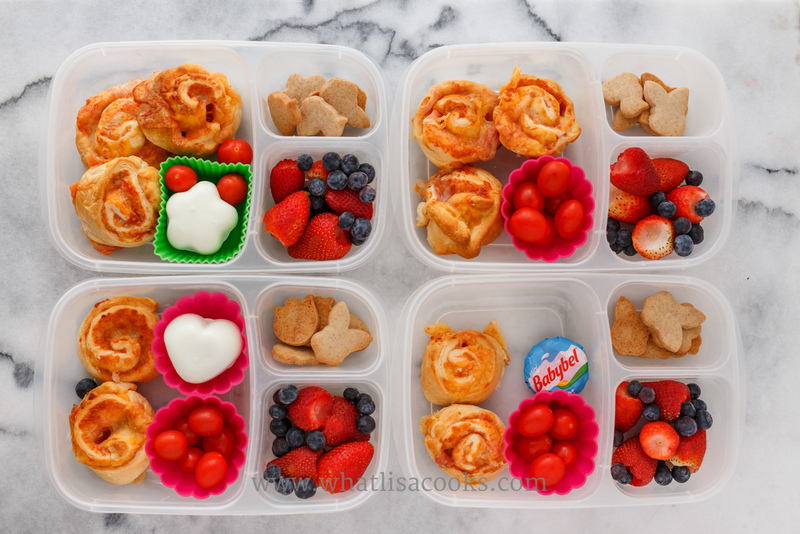 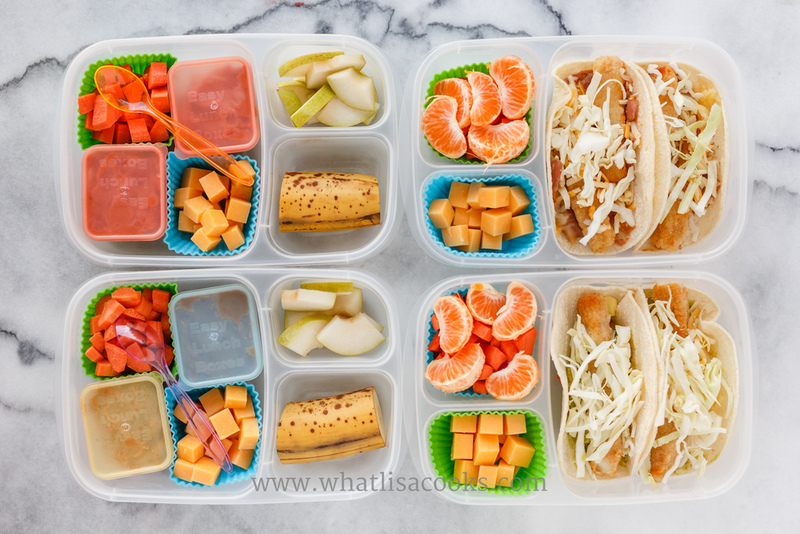 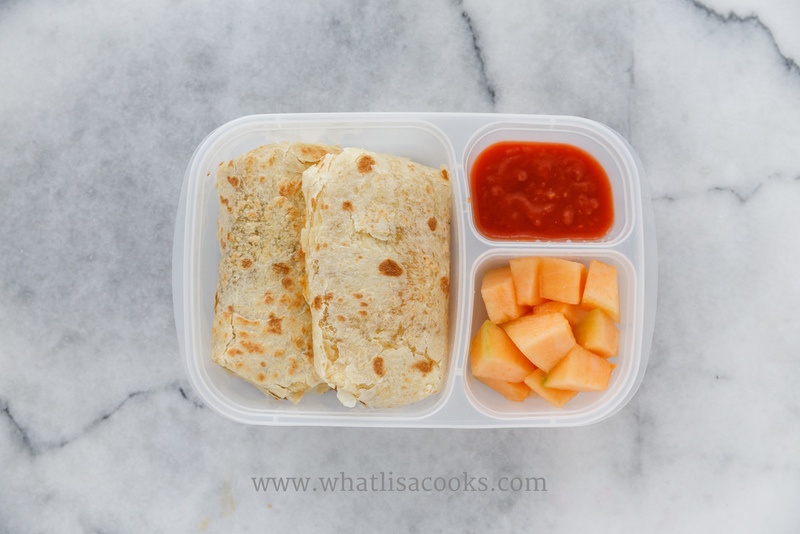 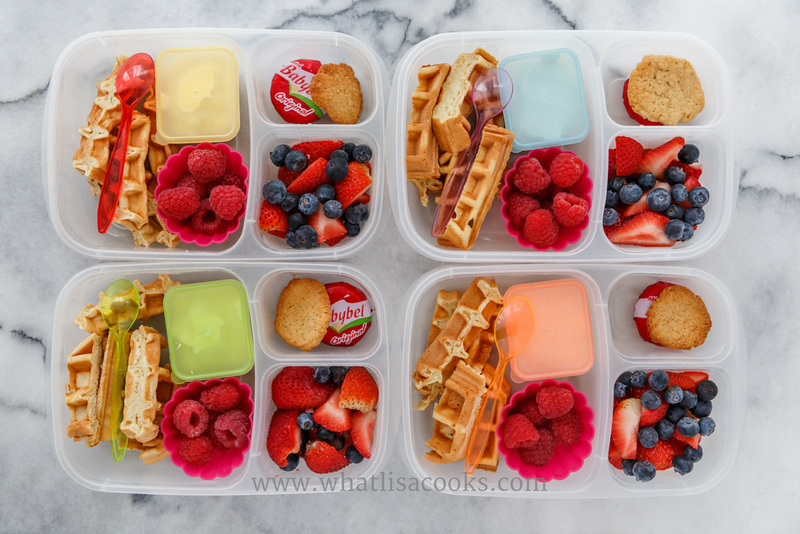 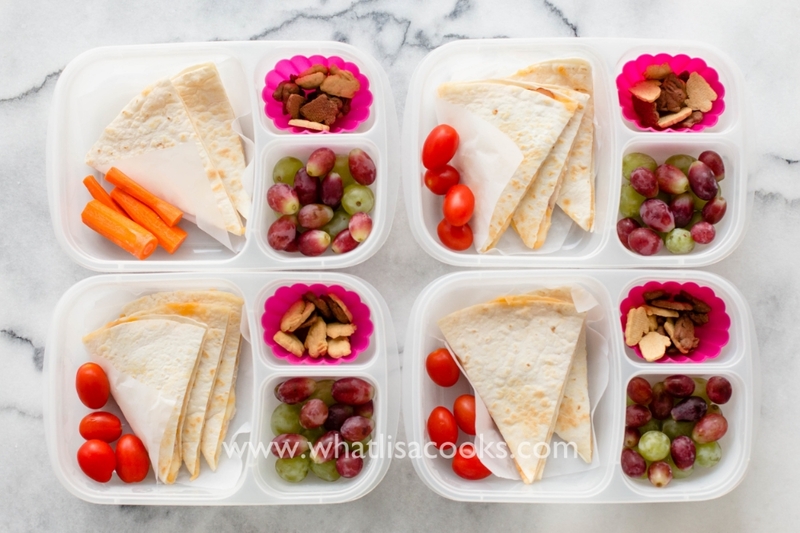 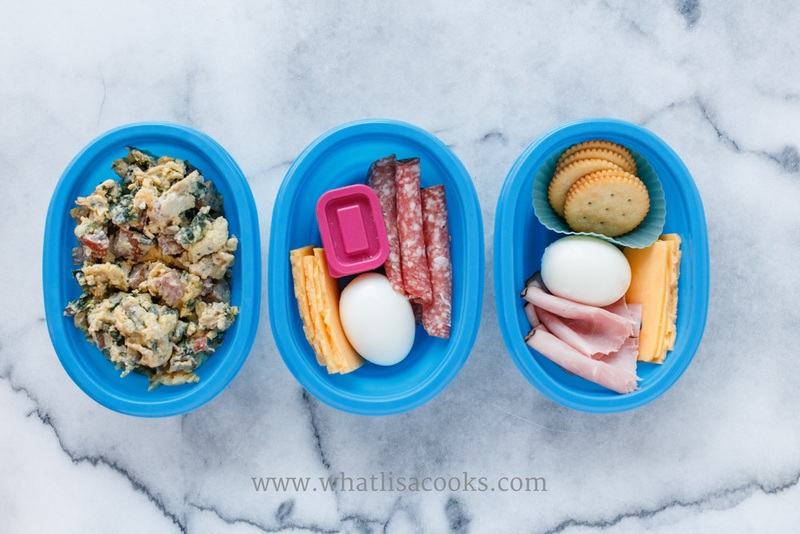 But I always try to keep mixing up how I combine things, what sides I includes, or what little tricks I use to make the lunches look more fun - so it never gets boring for the kids to eat, or for me to pack, and the lunches basically never look the same twice. 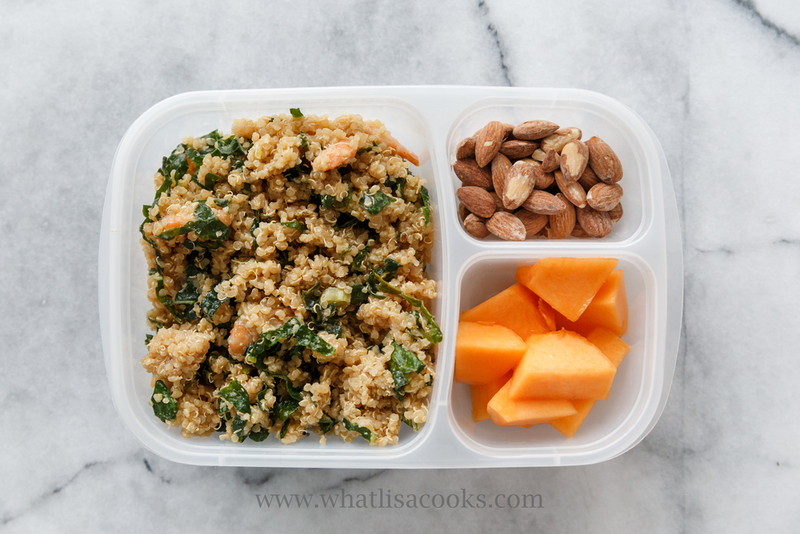 Hopefully some of my lunch ideas will help inspire you! 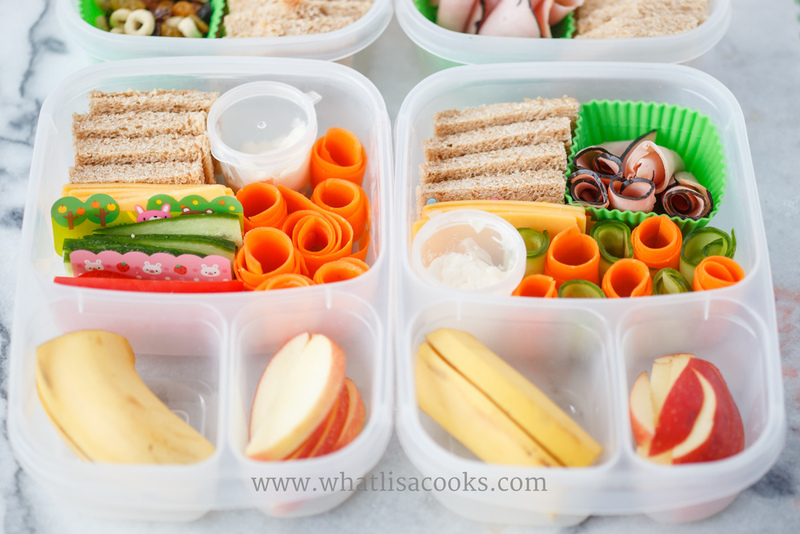 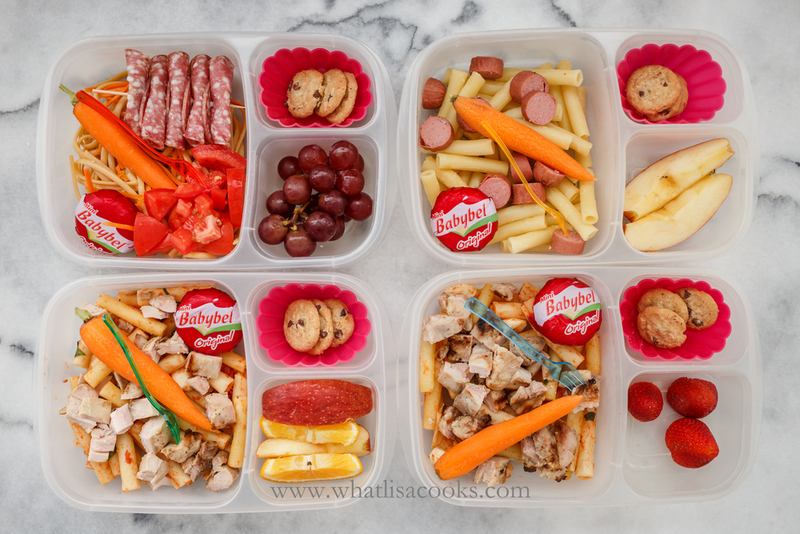 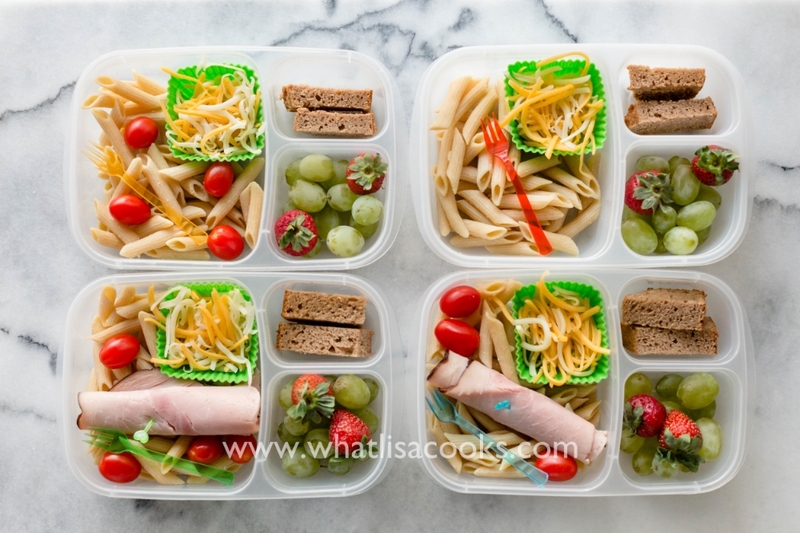 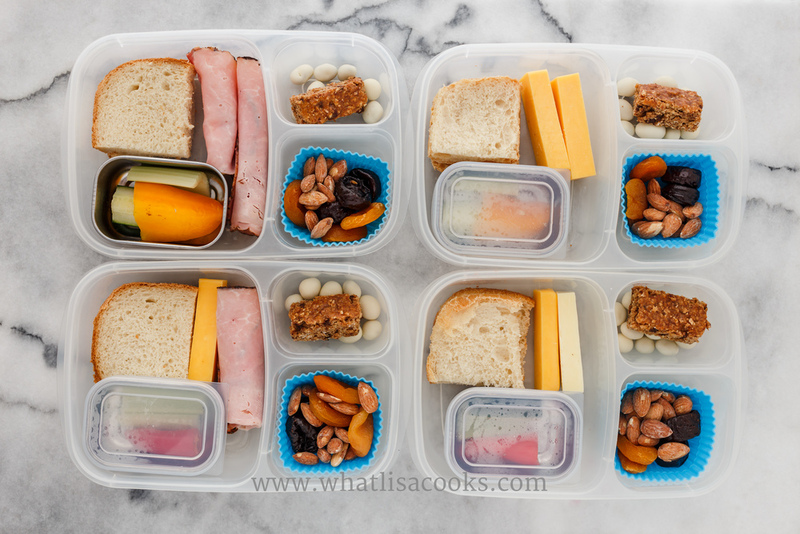 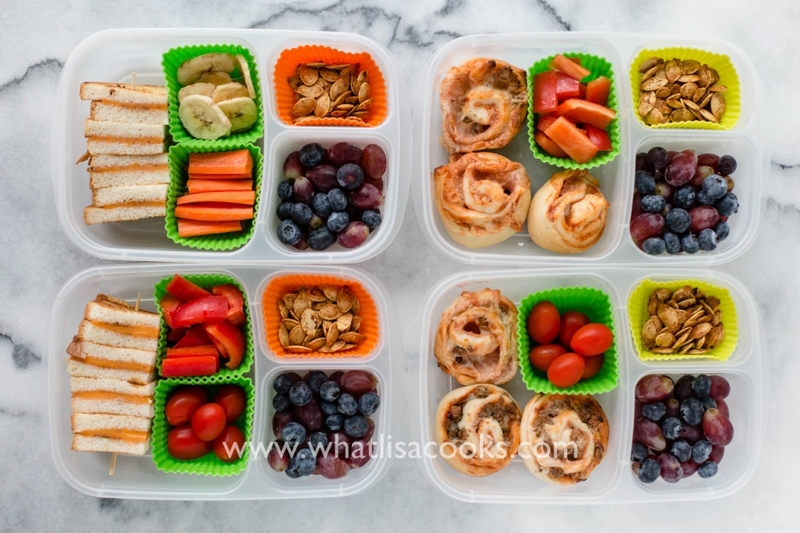 In addition to kids lunches, I've also got some adult lunches sprinkled throughout here - I often pack lunch for my husband, and occasionally for myself on a busy day. 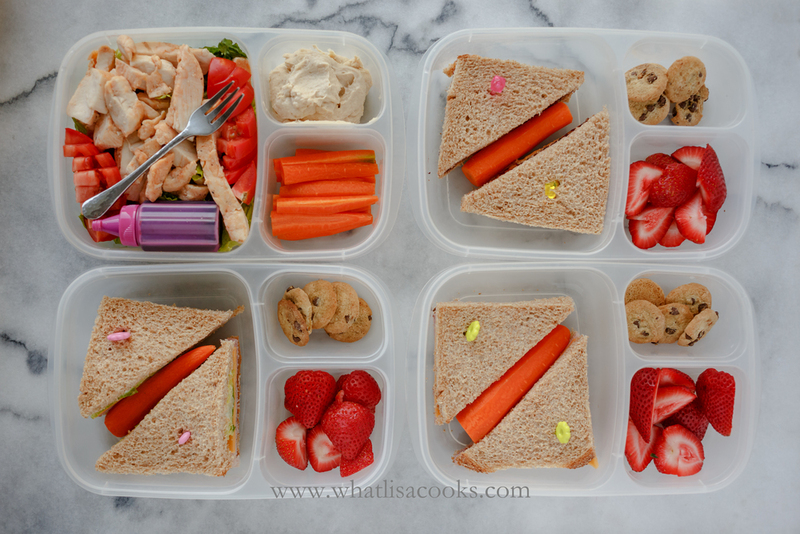 This page keeps growing and growing - there are now 375 pictures on this page, and most of those are of four lunches! 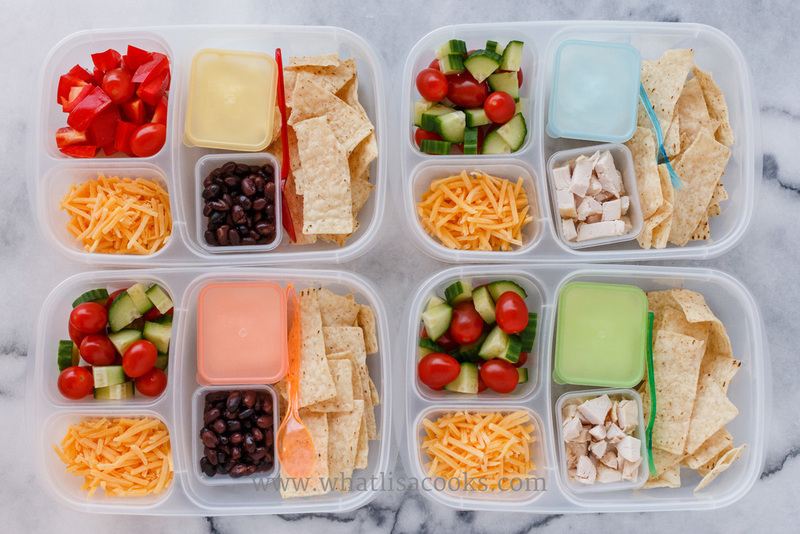 I am adding new lunches throughout the school year, so be sure to bookmark this page and keep coming back! 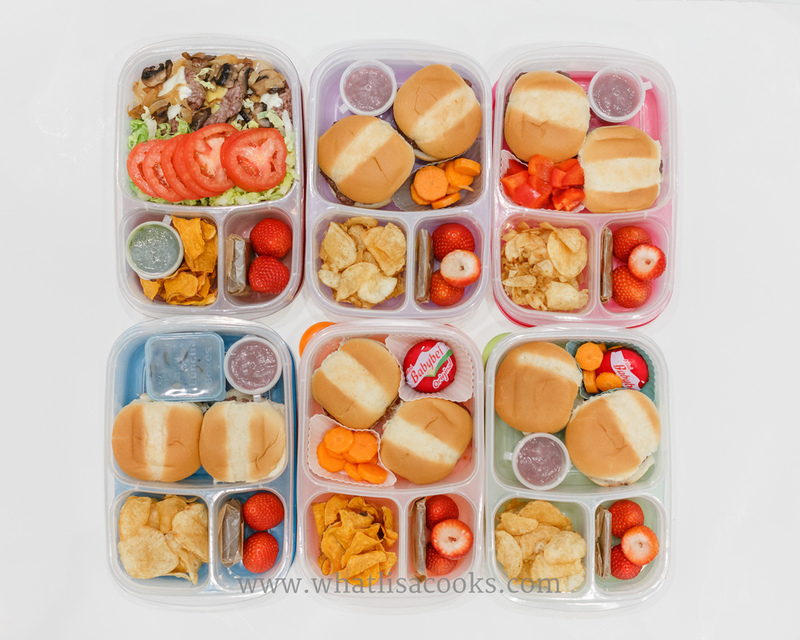 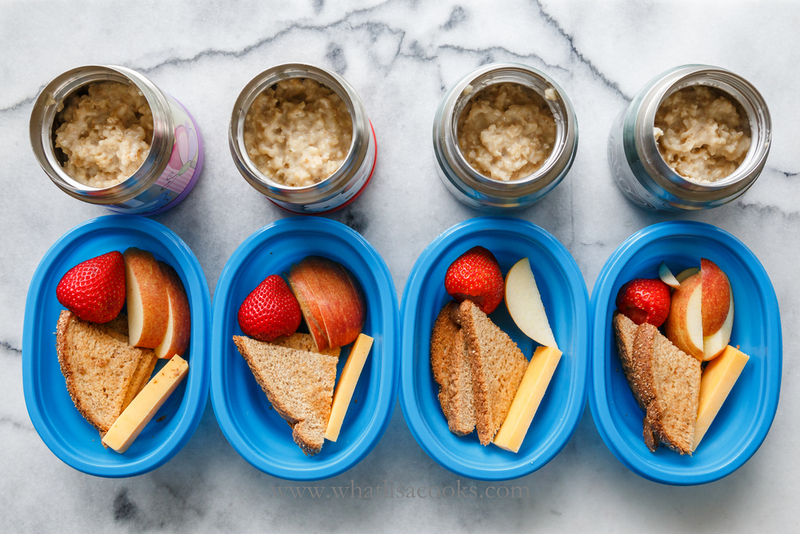 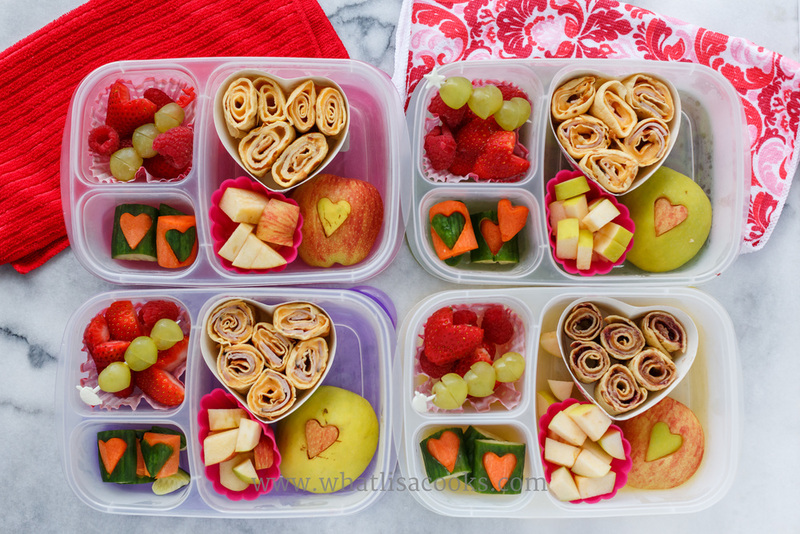 If you count each lunch box separately, that's over 1,400 lunches! 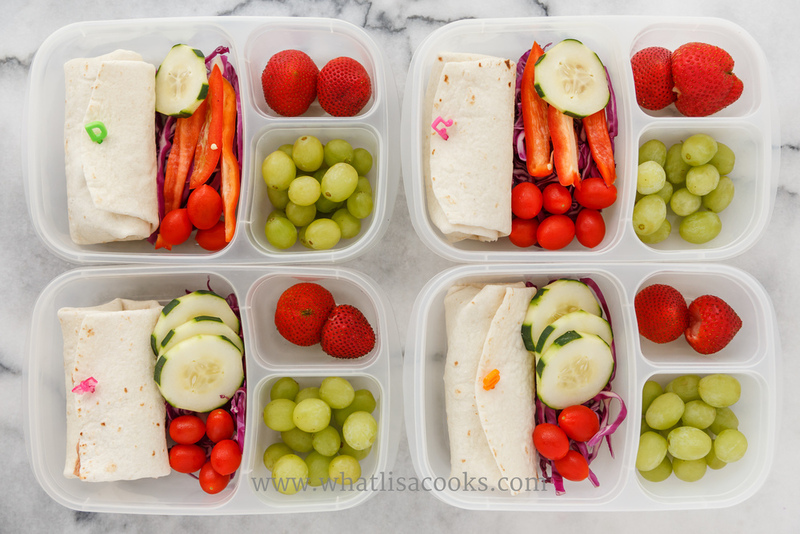 Just keep scrolling and scrolling! 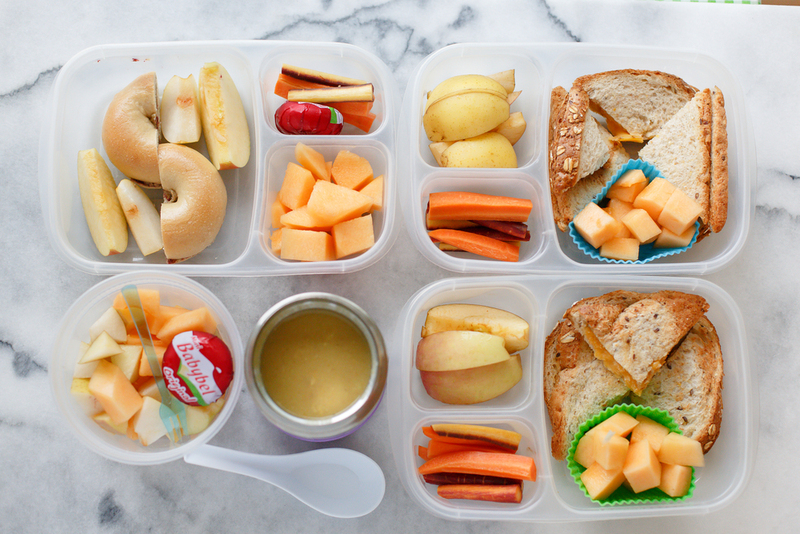 Click on each picture to see a bigger view and read all the details about what is in the lunch. 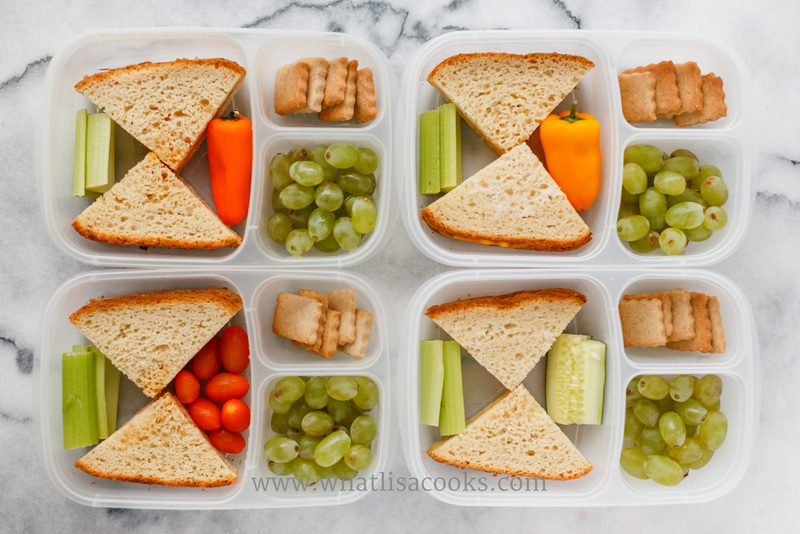 Keep scrolling - there are lots more lunches past this break! 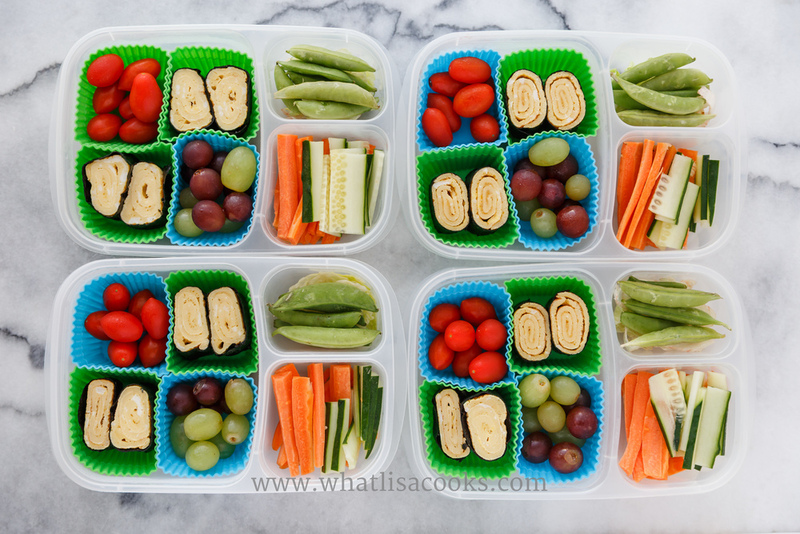 Keep scrolling - there are still hundreds more! 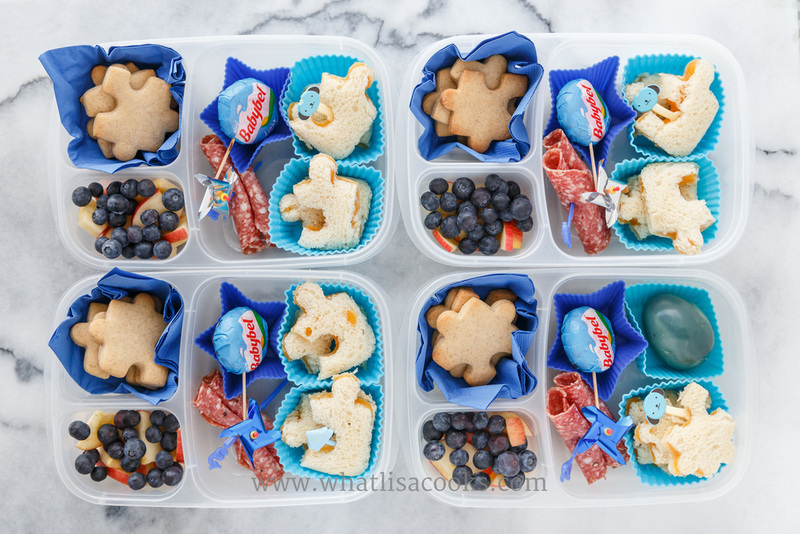 Keep going - there are still more! 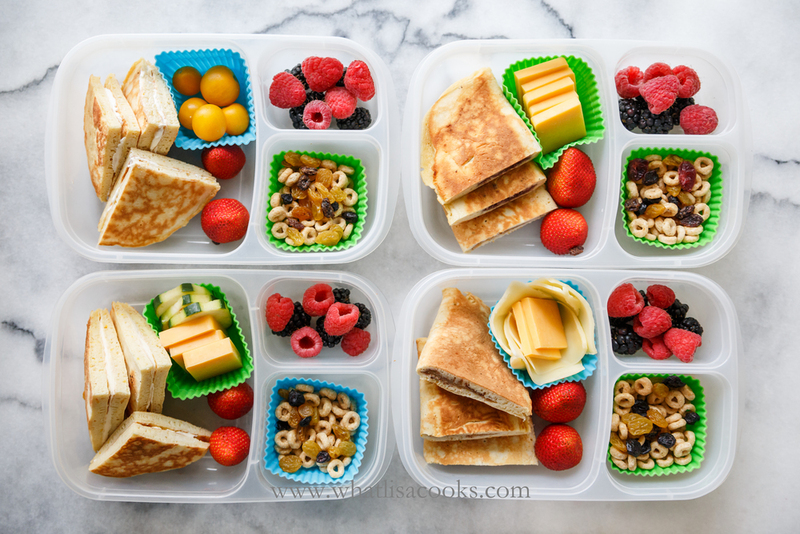 This next group of photos are all of the lunches from when I wasn't doing individual blog posts for each lunch back then, so clicking on the picture will just bring up a bigger view, and most of them have descriptions. 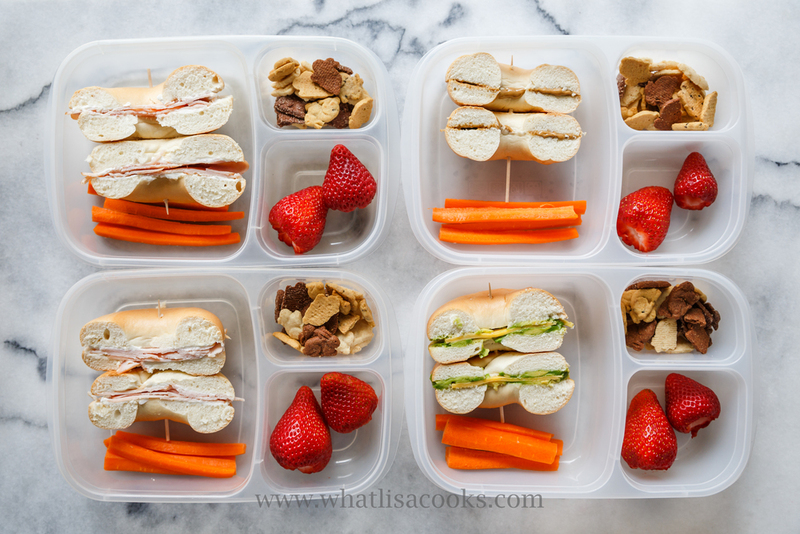 Be sure to bookmark this page and keep coming back - I'm adding new lunches all the time.